I have started the North America report below, and will link to the other segments as we go. Thursday 18 October - Yesterday was a very long day ... we were awake about 25 hours with all the travel preparation and travel, and were more than ready for a good night's sleep when we arrived in Canada. By the way, if you are in Calgary sometime, and looking for something to do ... go visit the Calgary airport. They've got some interesting displays. Of all the airports we've been in lately, they were one of the more interesting ones. Today we recovered from jet lag, and for me, from Clexane. I need Clexane because of a genetic predisposition toward developing blood clots which I discovered after developing blood clots on a flight to Australia in 2009. That discovery landed me in hospital for 2 weeks back then, so we take precautions now. However I don't react really well to Clexane. A little bit is OK, but the more injections I have, the more tired and disoriented I become. This was one of the reasons why we decided to skip the South America part of the tour. If we had included it, I would have had 3 fairly lengthy flights in the space of 6 weeks, and something in the neighbourhood of 10-12 Clexane shots. Unfortunately we didn't realise I'd have such a negative reaction to Clexane when we booked all the flights for this tour. If we had, we would have likely stretched out the Asia portion of our tour, so that we would have stayed longer in places like Taiwan and Japan, and we would have likely aimed to fly to the Maritimes rather than South America. But these discoveries happen ... and we make adjustments as we go along. So, we're in Chilliwack ... with my parents. :) And today, my mother and I went grocery shopping. Apparently, I have been living in the middle of nowhere for a very long time. The grocery stores, and more specifically the selection in the grocery stores, was almost overwhelming. So many choices!! A person could eat something completely different every day for a month or more. 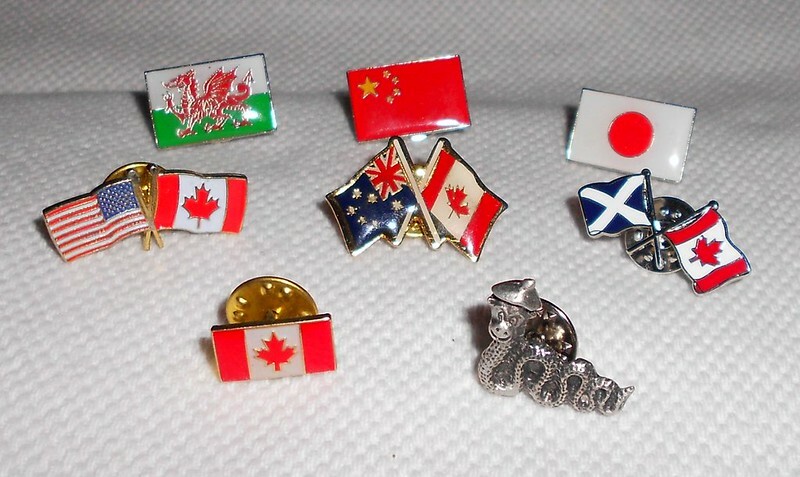 I was faced with all these choices when I lived in Canada before, but I have kind of lost touch with it all. Friday 19 October - Today Rowan, my mother and I went thrift store shopping for some inexpensive cool weather clothing in preparation for the next 3 months in North America. We have summer clothing with us which we used in Asia and Europe, but winter is coming on, and we need to make a few preparations. There was no point carrying a whole range of clothing with us when we can buy what we need along the way. Later in the evening, my uncle, Dan, dropped by and we had the opportunity to chat for a couple hours. It has been a little over a year since I've been with my family. Rowan and I live on one side of the world in Australia and my family lives on the other side of the world, mainly in Canada. It's great to spend a bit of time with them again, even just doing ordinary things like going shopping. Saturday 20 October - There's snow on the mountain tops! Good thing we bought some cool weather clothes yesterday! We continued our endeavour to collect what we need for the next 3 months, and acquired "winter" jackets this afternoon. They wouldn't do for the dead of winter in Manitoba, but they should be good for a lower mainland BC or mid-to-southern US winter. Next ... we'll have to look into winter boots or decent shoes. The sandals we have probably won't work, and our cycling shoe cleat would be slippery! We've been travelling for 4 months now. It's starting to feel like a normal thing to do ... to keep on travelling. Sunday 21 October - This morning, I went to church with my parents, and again it was very nice to be able to do something like that with them. In the afternoon, Rowan and I went for a long walk to explore the area in a different way than we have before. I enjoy walking, and ever since the DVT incident in 2009, walking has become an important part of my life. Walking moves the blood in a different way than cycling does. The rest of the day was spent illustrating my Europe story ... adding photos to the actual story. It's a long process, and I am trying to keep up to date. Monday 22 October - I've made a good start on my Canadian foods to eat while I'm here ... foods I miss when I'm in Australia. Rowan and I have visited Tim Hortons a couple times since we got here. He especially likes the honey crullers and I love several other types of donuts. Australia has a lot of wonderful things, but not donuts. When I'm in Australia, I miss Tim Hortons donuts, and I miss the medium strength Tim Hortons coffee. Australia also doesn't seem to have things like dill pickle potato chips. Even dill pickles are hard to find there. Australians seem to like sweet pickles instead of dill. While Australia has lots of different flavours of yogurt, they don't carry the Source brand, and therefore not the Lemon Parfait. Next to the chocolate yogurts we found in Europe, Lemon Parfait is my favourite. So delicious! I looked for things like perogies and farmer's sausage in Europe, but didn't see any. I haven't been able to find these in Australia either. So I come to Canada for them. I could eat perogies about once a week, and they were a perfect long distance cycling food. Mid-ride, nice big bowl of perogies, and I'd be good to go again for several hours. Tuesday 23 October - Today I continued to work on my European photos and story. Lots of catching up to do! Then, in the afternoon, Rowan, my mother and I drove to my Grandmother's place. My Grandmother is 91 years old, and still lives on her own. As with the rest of my family, we haven't seen her for a little over a year and it was so good to see her again. We were there for a belated Thanksgiving Dinner .. turkey, stuffing, potatoes, veggies, pie. My Grandmother is a wonderful cook, and we had a very enjoyable evening. Wednesday 24 October - Today we continued to collect more supplies for the North American leg of the journey. We picked up a foam mattress for the floor of the van, in case we might camp along the way. We're set up now so that we have the option to camp. And I continued to work on European photos and story. This time in lower mainland BC with my parents has been an important break for us in our tour. We've been travelling a little over 4 months, and needed a bit of a break to stay in one place, in familiar surroundings, for a little while in order to catch up on things, rest, and regroup. Thursday 25 October - Sunshine! The weather here has been rather rain, overcast, and cool since we arrived, so some sunshine was very welcome. This afternoon, we drove to to the next city with my parents to meet a cousin for coffee. I may have met Duncan way back when, and have gotten to know him a bit better via the internet in recent years, so it was really nice to meet him in person for the first time, or again. When we dropped him off, I was very pleased to re-meet another cousin, Debbie, who I haven't seen in over 20 years. Friday 26 October - I've been shorn! Half my hair is gone!! OK, maybe it only feels that way. I was meaning to get my hair cut before we set off on tour, but didn't get around to it till now, 4 months into our tour. 7.85 km of cycling today ... just a little test ride around the local neighbourhood. :) Rowan built up the bicycles and we took the opportunity of a break in the rainy weather to do a little loop using a local cycling path. We've been riding cycling paths in Europe, and they are starting to feel more comfortable than they used to. This evening we paid a visit to friends of mine from way back. If I'm not mistaken, I met Cyndi in 1986. It's frightening to think that is 26 years ago!! We really enjoyed our evening with Cyndi and and her husband Tim ... so much laughter! Saturday 27 October - We were hoping to go for another ride this afternoon, but the bad weather moved in again and so we opted to stay inside and catch up on more photos and elements of the story. We also did a little bit more shopping for a few more things for the next few months of our tour, to make our travels through North America more comfortable. Then this evening my parents, Rowan, and I got together with my Grandmother, Uncle Dan, Aunt Sandy, and three cousins (David, Andrew, and Kimber) for dinner. It was really good to see them all, and we wished we had a bit more time to talk. But we are planning to return and will plan to get together again then. The focus of this part of the tour is much more on family and friends than the first 4 months of the tour. I enjoy travelling to places I've never been and where there is no one I know, but I also like visiting family and friends. Sunday 28 October - Today we did the last minute preparations for the next part of our trip. We also got out for a short ride ... 11.03 km in lower mainland BC, on a wet and chilly afternoon. It is +9C out there, and had been raining quite heavily in the morning. It stopped, so we dashed out for a ride. The area is full of some beautiful autumn colours, but unfortunately I didn't have my camera with me. It is a little bit sad to leave this area after being here for 11 days. Anytime we spend more than about 4 days in a place, it starts to feel a little bit like "home", this time it especially did because my family is here. But we are looking forward to seeing and exploring more. Monday 29 October - We're on our way, travelling from lower mainland BC to southern BC to visit my cousin Teresa and her husband Willy. We had a good drive up through the mountains on Hwy 3, although some of it was shrouded in fog. If I were cycling through BC, I'd recommend cycling Hwy 3. You're going to encounter lots of hills, but the road is quite good. Sooner than expected, we arrived at my cousins' place, and had a very enjoyable evening with them. Teresa and I reconnected online a few years ago, and then met again in person at a family reunion last year, but this year we were able to spend more time together and have a good talk about what we were doing. And Teresa served perogies for dinner!! I had posted my list of foods I wanted to eat while I was in Canada, and perogies was on that list. Mmmm!! Tuesday 30 October - After a delicious breakfast, Rowan and I bid Teresa and Willy good-bye and drove up Hwy 97 to Vernon, BC to visit with my aunt and uncle, Chris and Alex. Hwy 97 is a pretty route along the Okanagan Lake. We had a good visit, and Chris showed us some of the art she creates ... amazing! I had no idea we had such talent in the family. From there we continued on to Kamloops, on the route I cycled at the end of the Rocky Mountain 1200. It brought back memories. And again, that is a good cycling route as I recall. There's lots of good cycling opportunities in southern BC. We stayed with my cousin Robin in Kamloops, and had a really lovely evening with Robin. When we arrived, her daughter-in-law and granddaughter were carving a pumpkin for halloween. The last time I carved a pumpkin was during a teaching practicum in 2007, and Rowan has never done it or seen it done. Halloween is not widely celebrated in Australia. Tomorrow ... weather permitting ... we'll take on Alberta. Not sure how far we'll get ... we'll play it by ear. After another delicious breakfast, we set off for Alberta. We had heard that there was the possibility of bad weather through the Rockies so decided to take it as it came and stop if we felt it was necessary. Our route was along the TransCanada highway, the easiest way to Alberta. Even along the TransCanada, the scenery in BC and the Rockies of Alberta are beautiful. I was a little bit disappointed when the sun set and we couldn't see them anymore. We made one brief stop in Revelstoke to have some of the lunch Robin packed for us ... thanks so much Robin! And finally, we made it to Alberta ... we're in the Cochrane area. :) The drive was good ... there was lots of rain all the way to Canmore, and then the rain dried up. There was no snow falling from the sky, or on the roads, but there was snow in the ditches on Roger's Pass, and from Kicking Horse Pass to Banff. Then the snow vanished ... until we got closer to Calgary. As we got closer to Calgary, there was lots of snow in the ditches and fields, and thick, thick fog. It was very slow going toward the end of the journey. And it is COLD here!! It has been about 15 months or so since I've seen snow (aside from snow on top of mountains). Thursday 01 November - Today we were able to stop in and have coffee with a friend of mine, Lorna. Lorna and I haven't seen each other in many, many years, but she has hardly changed at all. From there, we drove into Calgary and surprised Kim at MEC. It has been a few years since we have seen each other too. While there, we met someone else we had only met online. It was great to see them and chat with them. There was a freezing rain warning so we were a bit concerned, but we made it to Red Deer just fine. The freezing rain had either stopped or had not started, and the roads were good. Finding accommodation, however, was a little bit of a challenge ... Red Deer was busy! First we dropped in to visit my mentor teacher, Chris, during my teaching practicum back in 2007. Fortunately we were able to talk for a little while and catch up on where life has taken us and some of our plans for the future. Later in the evening, we had dinner with two of my former coworkers, Donna and Kelly. Lots has happened since we last saw them, and we had a lot of catching up to do. Tomorrow we plan to start heading south ... to southern Alberta first, then across the border to yet another country ... the US. Saturday 03 November - Today we followed the Cowboy Trail (Hwy 22) down to southern Alberta. I've cycled most of the route at one time or another, and it is a good route to cycle. The road is decent with a fairly wide shoulder and rolling hills which can be somewhat challenging at times. It runs through an agricultural area, but along the edge of the Rocky Mountains so there is some good scenery to look at along the way. There are also places to get something to eat and drink, every now and then. Further south, the route arrives at Bragg Creek which is a little town done up in a western style. Calgary to Bragg Creek is a popular cycling route, and when I've cycled it, there have always been a number of other cyclists out there. From Bragg Creek, cyclists can go out to Elbow Falls and back on a very scenic road into the mountains, which I have done in the past and would like to do again. We continued to follow the Cowboy Trail through Turner Valley and Black Diamond, all the way down to the Crowsnest Pass area. When we arrived in the Crowsnest Pass area, we visited the Frank Slide ... I've heard about it, but had never seen it before (to my knowledge ... although I discovered later I had seen it way back when). Back in April 1903, the little town of Frank was wakened from sleep at about 4 am to a great rumbling roar as half the mountain descended upon them. A portion of the town was completely buried and many people died in the tragedy. Evidence of the slide is still there, and it is amazing to see ... so much rock! Then we found a nice, comfortably little cabin to stay in. An update on my list of Canadian foods to eat while I'm here ... foods I miss when I'm in Australia. We've also had DQ's cheese and chilli dogs. Mmmmm!! Oh, and a Blizzard too. After lunch we went out for our first bicycle ride in a week. Then laundry, groceries, and a nap. :) A very good way to spend an afternoon. The wind howled last night, and there was a wind warning in effect, but we were just fine in the cabin. Sometimes I wish I could haul a cabin like that along with us as we travel! Tomorrow, we'll make our way into the US. Monday 05 November - Today, we drove through Sparwood and had a look at The Truck, a huge mining dump truck. While we were there, an elderly gentleman came up and told us all about it ... apparently he drove the trunk way back when. And then we crossed the border into Montana. Montana is interesting ... different from other states I've visited. Everything is BIG. Huge eagles on top of massive gateways made of logs the size of full trees, large houses, enormous signs. We came through Whitefish, Kalispell, and along Flathead Lake. That's a valley, with mountains on both sides, but especially on the east side. We also noticed a large number of paved bicycle paths along the way. It might be interesting to locate a map of the trails, and see if a cycling tour could be created with them. We arrived in Missoula early in the evening and decided to stop there for the night. So another new country ... we've now been to Australia (where we started), Hong Kong, Taiwan, Japan, England, Scotland, The Netherlands, Germany, Luxembourg, Switzerland, France, Canada and USA. 13 countries in 4.5 months. However, I have not cycled in Idaho, and we are heading for Idaho now. Tuesday 06 November - Today we drove from Missoula, MT to Boise, ID along Hwy 93 and then Hwy 75 across the Sawtooth Range ... that is quite a beautiful drive. In fact all the way through Montana on that route is beautiful. When we first looked at a route through the US, we were thinking of going on the east side of the Rockies, but when we were invited down to Boise, we changed the plans slightly, and I was glad we did. I hadn't realised how pretty it was through there. One of the things we noticed were how many gorgeous log houses there are in this part of the world. We'd love to live in a well-built, cozy, log house. That would be ideal! In Boise, we stayed with Nancy, an online friend. It was the first time we had met in person, and it was very good to put a face to the name. Nancy and family are also cycle tourists who recently did a very long tour from Alaska to Argentina, so they can relate to the travelling life. We really appreciated their hospitality. Wednesday 07 November - Today, we visited Craters of the Moon National Monument & Preserve in Idaho. Very interesting! Well worth a visit. We went through the visitors centre, and then cycled the loop. So we have now cycled in Idaho! And by cycling through the park, we were able to stop and take lots of photos of the incredible amount of lava. There are all sorts of different kinds of lava which has flowed here and there, spattered, blown, sprayed and piled up all over the place. We cycled 11.82 km, and only covered a small portion of the overall area of the lava. Back in the pioneer days, those crossing the US in their covered wagons had quite a time getting past all this lava. The route was strewn with bits and pieces of wagons which had fallen apart trying to cross. From there we continued on to Idaho Falls, and discovered that the first town powered by an atomic power plant, Arco, is along the route. There's also a museum at the power plant which would have been interesting to visit if we had known it was there. Next time!! Once in Idaho Falls, we debated about the direction we would take the next day. I would have liked to see Yellowstone and the Grand Tetons but we discovered that the roads were closed, so that may happen next time as well. Thursday 08 November - Today we drove along the edge of Grand Teton National Park, on Hwys 26 and 89. It would have been nice to explore more, but the website indicated that many of the roads were closed, so we decided not to risk it. So much beautiful scenery, so little time. The roads were quite good, and quiet. That may be because this is November, and there isn't much tourist traffic, but if they were still fairly quiet in a somewhat warmer time of year, they'd be good for cycletouring. We stayed in Rock Springs for the night, and at some point during the night, the rain started. We had been warned that a bad weather system was moving in, and so it began. Friday 09 November - It was pouring when we got up and packed up. Today we visited Flaming Gorge, which was quite impressive. Unfortunately, the clouds lowered and it started to snow (snow pellets) when we stopped to see the Red Canyon, and we could only just barely make out the view. Further on, we stopped in and saw my friend April, who I have not seen in something like 18 years. It was so nice to see her again even though we only had a few minutes to chat. The scenery changed to be more rugged and rocky and prehistoric. Different, but interesting. Drumheller, in Alberta, has similar terrain, but there is much more of it here. Night fell as we drove, and we ended up making a rather alarming descent down toward Grand Junction. It would have been interesting to travel through that area in the daylight, to see what it actually looked like. And now we're with my sister-in-law's parents, Linda and Steve, who have been so kind to put us up (or put up with us). :) As mentioned before, we've really enjoyed connecting and reconnecting with people on this part of the trip! We're in Grand Junction, CO and will likely be in this area for a few days. This does appear to be a very pretty area, and we're hoping to see more of it in the next couple days. When we leave, I'm thinking that we'll make our way toward Colorado Springs, and then head southeast toward Texas and Oklahoma. Saturday 10 November - Today we visited the Colorado National Monument, and that was incredible. Because of Veteran's Day, we were granted free entrance into the park, and made the most of it. The road is only 26 miles long, but we spent about 4 hours there looking at everything and taking pictures. It would be quite a ride to go from one end of the park, and then back again - some decent climbing and so much to see. We were thinking of doing a bit of cycling, but it was very cold and windy, so we opted to drive, and do a little bit of walking at the many overlook areas. It's gorgeous! And there is just so much of it ... one beautiful canyon after another. I took over 400 photos. Sunday 11 November - Snow overnight! Just enough to be really pretty. We had a great day today ... drove from Grand Junction to Arches National Park via the scenic bypass south from Cisco (Hwy 128). That highway was incredible. Again, I'm not sure if I have ever been there before, but parts of it did look a little bit familiar. I have been in Moab way back in 1981, so it is possible I have been on this highway before. It took us 2 hours to drive a relatively short highway because we stopped so often to take photos. We made a quick stop in Moab, and then spent the next 4 hours in Arches National Park ... and could have spent a much longer time there. I recall hiking in Arches National Park way back when the arches were first formed (OK, maybe not quite that long ago), but I can't remember exactly where we went. My mother has confirmed that we hiked around the Landscape Arch area, and even walked across the arch back then. Since then, in 1991, hikers heard a loud popping and cracking and then several tons of rock fell from Landscape Arch. It is still there, but is much more fragile now, and hikers are not allowed to walk on it or under it anymore. We would have liked to cycle all over this area, but just simply ran out of time. The sun sets too early!! We're already hoping to return to this area in the near future and spend some time exploring and cycling. I'd also like to bring my good camera. I like my little camera, it's small and conveneient, but would have loved to have my good camera with me for places like these. I could spend days photographing this part of the world. It might even inspire me to get up early to get those early morning golden hour photos. There is the Palo Duro Canyon State Park near Amarillo ... any other interesting sights that you know of along the way? We would like to do a bit of cycling in Oklahoma and Texas too if possible. Monday 12 November - After a lovely visit with my sister-in-law's family, we were on the road again. We had a good drive to Colorado Springs, and even arrived in daylight. The route goes up and over a very high pass, somewhere in the neighbourhood of 10,000 feet. There was quite a bit of snow up there, and the road was a little icy, but not too bad. And the mountain scenery was good. We are in Colorado Springs ... and are debating about spending a couple nights here. There's lots of interesting stuff in the area to see!! Tuesday 13 November - Today we decided to stay an extra day in Colorado Springs so that we could go to the top of Pike's Peak - 14,110 ft (4300 metres) ... and then take a look a quick look at Garden of the Gods. Pike's Peak is known in motorsport circles, and therefore Rowan was familiar with some of the events held there. He was particularly interested in seeing the road to the top to get a first-hand sense of what it might have been like. Of course it has changed over the years, and one of the most significant changes is that the road is now paved. From my perspective, that was a good thing. It was a breathtaking climb!! Even though we were driving it in the van, and not walking or cycling. The first half wasn't remarkable -- a road through forest up a mountain. Then we stopped at a viewpoint to look up at Pike's Peak over a lake. Shortly after that, the drive started to become more spectacular with views over the valley and what looked like sheer cliff drops off the edge of the road. In fact, from where I was sitting in the van, it felt like we were very, very close to the edge, and that a wheel could drop over at any moment. And then we got to the top to look out over the incredible view at 4300 metres high ... that's halfway between our look-out point to view Mont Blanc in Switzerland (3800 metres) and Mont Blanc (4800 metres). And, as with our experience at the look-out point to view Mont Blanc, we had trouble breathing. Breathtaking in more than one way!! On our way down we stopped at a little gift shop and for the first time in my life I found a mug with my name on it. My name is not common, and I rarely find it on anything, but I always look. And this time, to my surprise ... there I was!! Of course we bought the mug, along with a few other little souvenirs. When we reached the bottom we drove over to the Garden of the Gods. Our first stop was in the Trading Post there, where we picked up a few other souvenirs, and then we visited the Garden of the Gods and again, I took a whole set of photos of the red rock and rock formations. The sun was setting (the days are so short now) and so we had to leave. And update from the perspective of the end of the US portion of the trip, that Trading Post was one of the best gift shops we encountered. It is worth a visit! There is lots more we could have seen. It would have been nice to spend a week or more exploring the area. Wednesday 14 November - Today we drove from Colorado Springs, Colorado, through New Mexico, into Texas where we stayed the night in Amarillo. My general impression of the area was that it was very brown and barren. There is a certain beauty and majesty to desert and grasslands, but it can be rather empty and bleak. We stayed in a hotel in Amarillo which looked like it might have been really nice when it was built, but had definitely seen better days. It had a huge indoor atrium, where the breakfast was served and where banquets could have been held, and a swimming pool with hot tub next to it. Those were nice, but worn and tired-looking. And the room itself was very worn and tired-looking. There is a place near Amarillo called Cadillac Ranch, which is a collection of 10 cadillacs stuck upright in the ground, and which people from all over the world come to spraypaint. It might have been interesting to see, but unfortunately we arrived there after dark. We need the longer days of summer again. I have spent the last two nights sketching out a plan for the next month, while we're still in the US. I now have a rough idea where we're going. Still heading southeast for a little while, then across to the Pacific coast and back up to Canada. During our time in Colorado Springs, and then again as we approached Amarillo, we discovered Christmas radio stations. Radio stations that play only Christmas music. I don't know when they started playing Christmas music, but I'm surprised it is on already!! It's not even December. Most stations in Canada hardly play any Christmas music at all, even just before Christmas. Thursday 15 November - After a breakfast of artificial eggs (we were spoiled by the breakfasts at the B&Bs in the UK), we drove out of Texas and into Oklahoma. It was fascinating -- that part of Texas was dry, brown, flat, and dead-looking. The trees had all lost their leaves and the fields were barren. The highway was also in pretty rough condition. As we crossed the border into Oklahoma, the fields became green and more trees seemed to have their leaves still. The highway was also suddenly in beautiful condition. We started seeing information about the historic Route 66 and in Elk City, we stopped to visit the National Route 66 museum. That was quite interesting, and a good choice, especially for the price at $3 per person. The best part was a 10-minute movie about the history of transportation in the US, which included a section on bicycles. After visiting the museum, we drove out of town a little way, found historic Route 66 and cycled 11.66 km on it. We also stopped to take photos by one of the signs. An interstate was created in 1985, more or less using Route 66 as the route, and it ceased being Route 66 after that time. And then it was on to Altus, Oklahoma for the night. We found a decent hotel (nicer than the experience in Amarillo, Tx), and went across the street to get something to eat, only to discover the place was full of kids from a youth group. It took a while to get our orders, but we were patient. We actually quite liked Oklahoma ... from a quick glance, it seems like it would be a good place to cycle. I wonder why there's no Randonneuring club there. So now ... I've cycled in 25 US states: California, Colorado, Connecticut, Illinois, Iowa, Kansas, Maine, Massachusetts, Minnesota, Missouri, Montana, Nebraska, New Hamshire, New York, North Dakota, Ohio, Oregon, Pennsylvania, Rhode Island, Vermont, Washington, West Virginia, Wyoming ... Idaho and Oklahoma!! Friday 16 November - In the morning we decided to return to the place we ate last night to acquire Cinnabon cinnamon buns for breakfast. When we walked in, we found the place full of military personnel getting breakfast or lunch. It took a while to get our orders, but we were patient. Popular place!! We drove on through Wichita Falls and around Dallas-Fort Worth, to a smaller town called Hillsboro. On our way there, we drove through Mineral Wells, a small town with a huge hotel. Later we asked about the hotel and found out that the town was said to have water with healing properties. A huge hotel (the Baker Hotel) was built ... "Familiar with the mineral bath concept in Mineral Wells, this gave T. B. Baker an opportunity to have a different kind of hotel catering to people seeking the benefit of the curing waters." All sorts of people went there, including many celebrities. The popularity of Mineral Wells and the healing water diminished, and the hotel now stands empty. After we got settled in Hillsboro, we drove out to a town named Italy to meet with a cycling forum friend, Stephen, and some of the members of the Randonneuring club he is with. We had a really nice evening chatting with various ones, which might just inspire us to get back into Randonneuring again. :) I've been Randonneuring since 2001, and Rowan got into it in 2003, but over the past couple years we haven't done too many events, and nothing over the 300K distance. Saturday 17 November - We decided to spend another day in Hillsboro so that we could do a bit of cycling in that area, and so that we could take a little break from all the driving and travelling. So, after a lovely long nap, we went out for a 40 km ride in the countryside in the Hillsboro area. First we rode into the centre of Hillsboro and took some photos of the amazing town hall building. There we discovered that Willie Nelson came from Hill county, and participated in a concert to raise funds to rebuild the town hall after a fire. Then we rode northwest of town on a fairly quiet highway with good shoulders, and great weather. We were enjoying the ride so much that we decided to keep going after the original 10 km turnaround point. We kept stretching it out, and finally had to turn around at 20 km so that we could return in daylight. If the sun hadn't set so early, we might have done 50 or 60 km. As it was, it was probably good we only did 40 km because that's the longest distance we have ridden since we were on the Velodyssey trail in France more than a month ago, and (sad to say) we felt it a bit!! We will have to do more cycling and get back into shape again. We've now cycled 80 of our 151 days on tour ... that's 53%, so we're still on a "mostly cycling" tour. :) :) But we want to start cycling more frequently. Sunday 18 November - Onward to Lake Charles, Louisiana where my brother and his family reside. We passed through some pretty areas of Texas ... past the Fort Parker State Park, in the Lake Conroe area, near the Sam Houston National Forest, and then crossed the border to a state I've never visited ... Louisiana. And we arrived in time for dinner, and in time to visit with my brother, his wife, and the kids. We had lots of catching up to do because we haven't seen each other in at least 7 years, I've never met my youngest nephew and niece, and my brother and his family had never met Rowan. A lot of life has happened in the 7 years since we've seen each other! Monday 19 November - After an excellent breakfast, we were off again. We had decided to visit a little bit of Florida, Alabama, and Mississippi on a very fast 2-3 day trip because a friend in Pensacola suggested we come for a visit. It would also give us the opportunity to see a little tiny bit of southeastern USA, and to ride in a few more states. We drove the interstate (I-10) all the way to Pensacola, so we didn't get to see a whole lot, but there were a few interesting things, like the long, long bridges over the swamps (Atchafalaya National Wildlife Refuge), and the fact that Biloxi has blue water towers. We were also rather surprised by the nice-looking modern skyscrapers in Mobile. After booking into a hotel in Pensacola, we drove out to our friends (Bill and Monica)'s place, and spent a very enjoyable evening talking with them and their children, Elizabeth and John. It was so good to meet them in person, they are a lovely family. And for the 3rd night in the US portion of our trip, the police have pulled up outside the place we're staying. Sounds like there's some sort of "domestic" going on next door. Yay!! Accommodations in Australia, Europe, and Canada all run approximately the same price for the sort of inexpensive, but decent places we prefer -- roughly around $100/night, with the occasional place that might be slightly higher or lower than that. That seems expensive to me. It wasn't so long ago, when we could find decent accommodation for $60-80/night. In the US, however, accommodation for inexpensive, but decent places runs around $50/night, which just proves that it is possible to charge less than the popular $100/night in other parts of the world. We've been quite pleased with the prices we've found on this leg of the journey. And I also begin to understand why hostels aren't popular in the US. Why pay $20-$25/person for a shared hostel room, when you can get a hotel room for under $50? And we were considering camping, but a powered site seems to be about $30-$35/night, and doesn't include breakfast (which most hotels include). It also may or may not include wifi (which most hotels include). For not much more than what we'd pay in a campground, we get breakfast, wifi, and indoor plumbing. What helps the prices are a collection of coupon booklets we've found at rest stops, tourist information places, and some restaurants along the way. If you are travelling in the US, go to tourist information places in the centre of towns, or on main highways along the borders of the states, and collect information. It could be worth your while, and save you a significant amount of money. There are several different companies that put out these coupon booklets for hotels. The coupon booklets are usually for several states, although may be for just one or two states. And they contain a collection of coupons for specific hotels in certain cities. They might only reduce the price by 10%, or might knock quite a bit off the price. In one place, we paid about $45 with our coupon, and then I heard that another person was being charged about $65 for the same type of room as ours. If $65 was the regular price, and we were charged $45 with the coupon, that's a 30% discount. Not bad! We stayed in Ibis Hotels quite frequently in Europe. Ibis Hotels were usually quite reasonably priced (for Europe), but the remarkable thing about them was that they were identical. They were in various and sundre old buildings which had been redone into identical interiors. We could go from one hotel to the next, and not feel like we were in a whole new place. The colour scheme was the same, the layout was as close to the same as possible, the bed was the same, the white duvet was the same, the little desk under the window was the same, the modern flatscreen TV was the same, and the toilet was usually the same or as close to it as they could manage. Even the lobby and dining areas were the same with the same menus. We come to North America and stay in places like Motel 6, Super 8, Econolodge, Day's Inn and others which would be of similar quality to the Ibis Hotels, but they are not the same. One Motel 6 will be nicely renovated (and actually look remarkably like the Ibis Hotels), the next Motel 6 will be a rundown, dirty, old room which made me very uncomfortable. One Super 8 would be beautiful with huge rooms and everything looking modern, clean, and lovely. The next Super 8 will be a rundown, dirty, old room which made me very uncomfortable. What happened to decent quality consistency? I like the Ibis set-up. If we choose an Ibis hotel, we know what we're going to get for a room, and it was always a small, basic, but nice room. I want to be able to roll up to an Econolodge and know that I'm going to get a room that looks like ... all the other Econolodge rooms. If I choose a Super 8, I want every Super 8 room around North America to look like that (preferably like the ones we've stayed in with huge, modern, clean and lovely rooms, of course). As it is, it is anybody's guess. We might select a particular hotel which looks good on the outside, and discover that it really isn't all that good on the inside. It's like opening a box of chocolates, only to discover that someone has lost the the guide to tell you which chocolate you're getting. Tuesday 20 November - We left the hotel earlier than we usually do, and returned to Bill and Monica's to see them again briefly, and to take photos with them. We were heading out that way anyway, so it was nice to drop by. Then on to Atmore, Alabama where we parked the car and went for a 23.55 km ride which included both Florida and Alabama thus adding 2 more states to my list. It was a decent ride, although the road and drivers seemed to be somewhat better in Florida than Alabama. On the way to Atmore, and then when we were cycling there, we were surrounded by cotton fields, most of which were harvested and in big bales by the side of the road. I think I've seen cotton fields before, but I don't think I've ever seen baled cotton. Another new experience for me on this trip. From there we drove back through Mobile, Alabama and into Mississippi to Pascagoula where we found a nicer motel, and a southern-style all you can eat buffet which was quite good. I liked that they had macaroni and cheese (one of my favourites which is fairly common in Scotland, and which I chose several times when we were there), and that they had a cheese sauce which I could put on anything, including my mashed potatoes. I'm fond of potatoes of any sort with cheese. This trip is the first time I've ever been in Florida, Alabama, Mississippi ... and Louisiana. Some things were as expected ... some were a bit of a surprise. I expected the cotton fields, but was surprised by all the pine trees. I expected the huge lots of RVs (especially in Florida), although we did wonder who was buying all of them with the economic downturn the US has been dealing with over the past few years. I did not expect the architecture in either Mobile or New Orleans (which was saw the next day). Somehow I was expecting something older, but saw quite modern downtown buildings. And everyone we encoutered has been so friendly. As of today, we'll have been on the road for 5 months!! We've got another month in the US, then another month in Canada, and then we return to Australia ... to the western side of Australia. Wednesday 21 November - Our morning was quite leisurely, and eventually we drove right into Pascagoula where we parked near some docked sailboats and cycled from there. We cycled along the Gulf of Mexico, and up and down some streets in Pascagoula where we saw some of the Spanish moss laden oak trees and lots of "Queenslander" houses ... the houses built up on piers. It was actually quite pretty there, and made for some enjoyable cycling. All up, we cycled 12.11 km on a warm, sunny day. We would have cycled more, but we did have to continue on our journey back to Louisiana. We opted to drive along the coast, along the Gulf of Mexico, through Ocean Springs, Biloxi, Gulfport, and to Bay St Louis, almost to the Mississippi/Louisiana border. There was quite a bit of hurricane damage all along there from hurricanes over the last few years, but we could see the attraction of living in that area. It was pretty, and looked like an interesting area. If we had more time, we would have like to spend a couple days exploring the coast, but especially the Biloxi area. Then we decided to drive through New Orleans, instead of going north of Lake Pontchartrain. On our eastward journey, we had driven north of Lake Ponchartrain and wanted to see a bit more of Louisiana by going southward. However, that may have been a little bit of a mistake ... the pre-Thanksgiving and post-work traffic was almost at a standstill for about 6 miles. While there, I was a bit surprised by New Orleans. Now, of course, we hadn't gone into New Orleans, we only saw the city from the highway, but I had expected old buildings, not the modern city centre. Rather than tackling Baton Rouge from the south we opted to go up to Hammond on Hwy 55, and across on I-12, but even so it was somewhat slow going through that little bit of Baton Rouge as well. A quick bite to eat in Lafayette, and then we were back in Lake Charles, in time for American Thanksgiving. Australians don't celebrate Thanksgiving, and Canadians celebrate it in mid-October. It will also be our first Black Friday ... not quite sure what that's all about. It sounds sort of like Boxing Day. Thursday 22 November - Happy American Thanksgiving! After another excellent breakfast (we're being spoiled, and artifical eggs just won't do anymore) cooked by my brother, John and his wife, Moriah, Rowan and I decided to explore the area a little bit on a bicycle ride. We covered 32 km in the Lake Charles, Louisiana area ... to burn off some Thanksgiving dinner calories even before we had eaten Thanksgiving dinner. It's the first time I've cycled in Louisiana, and brings the number of US states I've ridden in to a nice round 30: California, Colorado, Connecticut, Idaho, Illinois, Iowa, Kansas, Maine, Massachusetts, Minnesota, Missouri, Montana, Nebraska, New Hamshire, New York, North Dakota, Ohio, Oklahoma, Oregon, Pennsylvania, Rhode Island, Vermont, Washington, West Virginia, Wyoming ... Texas, Florida, Alabama, Mississippi, and Louisiana!! We returned to play with our nieces and nephew and to have Thankgiving dinner with the family. Also thankful for ... the beautiful weather which made for a good bicycle ride this afternoon. And thankful for ... a place where we can stop for a few days on our RTW tour. Travelling all the time can be tiring, and we've learned to appreciate the few days here and there where we stay in one spot. Friday 23 November - Happy Black Friday ... although we opted to avoid any shopping excursion celebrations. Today we tried Boudin ... a Louisiana-style sausage that reminded me a little bit of a spicy cabbage roll. It was very good and something I'd try again. And then we drove down to the coast (in Louisiana, still) to have a look around there. On the way, we drove along some swamps and ditches full of water ... and alligators! We saw a whole bunch of small (approx 6 ft long) gaters. That's the first time I've seen alligaters in the wild. Then we stopped in the small town of Cameron, and did a short ride around there. 14.9 km all up. When we got closer to the coast, and particularly in the town where we stopped to ride, we saw the results of two hurricanes ... Rita (2005) and Ike (2008). A lot of devastation!! And many of the people have not rebuilt. It reminded us of the aftermath of the bushfires back in Victoria, Australia where we were. Saturday 24 November - After another excellent breakfast (we might not want to leave next week with all these good breakfasts!! ), we decided to explore northward, around the body of water known as Lake Charles. So, we cycled out there and made many stops to have a look at signs and to take photos. We even got some Christmassy photos in the park along the edge of the lake, without the snow, of course. And, although it was very tempting, I did not take photos of the big houses all tastefully decorated for Christmas. One of the things we've really enjoyed during our time here is talking to John and Moriah, and the talking has gone well into the evening. It has been wonderful to catch up with each other after many, many years apart. We're debating about maybe taking in the Trans-Siberian Orchestra while we're there, and also getting up to the Grand Canyon and Bryce Canyon on the following few days. We've wanted to see the Trans-Siberian Orchestra since we first heard them some time ago, and Moriah just dropped the hint that they are on tour!! Sunday 25 November - The family and I went to my brother's church, and then a potluck lunch after the service. I had the opportunity to see my brother in action, as minister. He does well. A little later in the afternoon, we visited met Chuck aka "revchuck", from a cycling forum we're on at a coffee shop. A pity the visit had to be so short, but very nice to have the opportunity to meet "revchuck", and to talk in person for a little while. Then we went for what was supposed to be a short drive out to the coast again, having a look at the area slightly east of Cameron. But it ended up being longer than intended, driving up and down some of the backroads in the area. When we got back, we took everyone out to dinner to a favourite buffet, all-you-can eat place which was indeed quite good. Here in Louisiana ... I've had boudin, and now I've had crawfish! Boudin was really good ... crawfish, I probably wouldn't have too often. Just not all that fond of those sorts of things. But it kind of surprised me that my brother knows how to peel and devein crawfish. We decided to go south again by a slightly different route to see where that might take us, and it took us to a nature reserve with walking trails. Evidently in warmer temperatures, some alligators come right up and walk across the paths. So that's something to watch for. We saw one sleepy-looking alligator in the water, but none wandering about. However, a snake was out and about and crossed one of the paths not far from us. Deeper into the reserve, there is a viewing platform from which we could see all sorts of birds, including a large flock of big pink birds. I'm not quite sure what they were, spoonbills, I think. We continued on our way and came to a spot where we had to take a ferry across an inlet. As the ferry got underway, I noticed a pair of porpoises playing in the water near the ferry. I had read that there might be porpoises around, but wasn't sure if I'd get to see them. And we spent our last evening in Louisiana playing with the kids. On the US portion of our RTW tour, we've been down to Louisiana, out to Florida, and back to Louisiana where we stopped for a few days. On our way down we saw the mountains of Montana and Idaho, Craters of the Moon, the first town powered by nuclear energy, a bit of the Grand Tetons, Flaming Gorge, Colorado National Monument, and Arches National Park (and Moab). We travelled through the Rockies and up Pikes Peak, then visited Garden of the God. We've experienced a bit of Route 66, saw the huge hotel in Mineral Wells, and have cycled past "Queenslanders" in Mississippi and Louisiana. We've seen the results of hurricanes and have observed alligators, a snake, and porpoises in the wild. Tuscon ... end of November. Prescott or Flagstaff and Grand Canyon ... early December. Then Cedar City and Bryce Canyon if the weather is still good. From there we're debating whether to go to San Diego, or more or less straight across to the Los Angeles area. Tuesday 27 November - We bid farewell to John and Moriah, and nieces and nephew. It was so nice to spend some time with them over American Thanksgiving and to catch up after 7 years apart. :) It's too bad we don't somehow live a bit closer together so we can see each other more often. We had an uneventful drive westward on the I-10, through Houston to Columbus, and then northwest to Austin, next to the Buescher and Bastrop State Parks. However the highways and overpasses in Houstin and Austin were quite astounding. I've seen that sort of overlaying maze in photos before, but I'm not sure if I've ever seen it in real life. Mev asked a particular question during the course of our conversation which stuck with me: "As we travel, do we get "homesick" for a previous place we've visited?" And the answer is, yes, we do! I didn't notice it until we got onto the Rhine Route in Germany. Things weren't going particularly well there, and I longed to be back in either Japan or Scotland. When we got to Canada, as much as I wanted to be there, I missed the west coast of France. When you're feeling homesick for a previous place, it can be hard to get in the mood for the new place, and even if things are just fine in the new place, and even if it should be a great experience. This is, perhaps, one of the hazards of covering so much territory all at once. Something else happened today ... my dear little cat, Smudgie, who has been residing with my parents since I moved to Australia, passed away. She was about 15 years old. I am so glad I got to see her during the 10 days we were in Canada. If we had stuck to our original plan of going to South America, I would not have had that opportunity. She will be missed. Wednesday 28 November - Today, I didn't feel much like travelling, and maybe it was fortunate that there wasn't too much to stop and see along the way. It gave me time to be quiet and think. We continued the drive through Texas to Fort Stockton, beside McKinney Falls State Park, Pedernales Falls State Park, and the Lyndon B Johnson National Historic Park. Then we re-joined I-10, and arrived in Fort Stockton before sunset. I saw the sculptures just outside Fort Stockton, but missed the roadrunner which is supposed to be somewhere in the middle of town. The drive reminded Rowan a bit of some of the flatter, more remote areas of Australia. Thursday 29 November - Not too far out of Fort Stockton we reached the US/Mexico border, and followed it for a while ... peaking over the border into Mexico. Neither of us have been there, and it might have been nice to cross into Mexico to do a ride, but we weren't sure it would be worth the hassle. So we had to make do with just seeing it from the US side of the border. Just outside El Paso there was a border check set up for the traffic heading south, but nothing for the traffic heading north. That was to come later, on the road between Las Cruces and Deming, and again near Tombstone. As we travelled through El Paso we were able to catch a glimpse of Cuidad Juarez on the other side of the Rio Grande. Somehow I had envisioned the Rio Grande to be a big river, and perhaps it is at certain times of the year, but now it isn't much more than a trickle. We were going to stop in Las Cruces, New Mexico but got there so early that we decided to continue on to Deming ... home of the Great American Duck Race!! Friday 30 November - Today we cycled in Deming, New Mexico ... a little over 12 km. Unfortunately, there were goatshead thorns around, and Rowan flatted on the way back to the hotel where we'd left the van. We have encountered those things before in Colorado/Kansas, but had forgotten all about them till now. When we got driving, we drove to Benson and south to Tombstone, AZ where we could only spend about an hour, so we didn't explore in depth. The sun was starting to set when we left. I've been to Tombstone before, when I was quite young, and I remember parts of it, but I suspect they've made a few changes. On the way up to Tucson, we went through another border check. They've got these things everywhere. We'd like to return to New Mexico at some point. I think I've been to New Mexico, but don't remember it ... however, the info in the brochures looks interesting. We saw some information about the White Sands and thought we might like to go back and have a look next time we're in that area. And the City of Rocks State Park, Silver City, and Gila Cliff Dwellings National Monument all looked interesting as well, but we just didn't have time to get there. Saturday 01 December - Today, we drove through Saguaro National Park (Tucson Mountain Section, on the west side of Tucson) and had a look at the multitude of saguaros!! I could hardly believe there were so many. I was expecting to see a few, but not whole hillsides covered in them. We stopped at one point and did a short hike among them so that we could have a good look at them ... but not too close. And we also saw lots of cyclists riding through the park. Tucson and area is, apparently, a popular place to cycle. Then we drove to Phoenix (a short driving day), got a nice hotel room for 40% off, and had a good dinner at Olive Garden. Then we went to the Trans-Siberian Orchestra concert!! The Trans-Siberian Orchestra concert was everything we expected and more. I highly recommend going to one -- Christmas music, and more in a rock-opera style. First they did their Lost Christmas story, and then they finished with some of their new music plus some of their most popular, and very energetic, selections. They put on a really impressive show. Tomorrow we go to Prescott and if all goes well, the next day we'll see Grand Canyon. Then we'll head up to Cedar City, or somewhere in that area so that we can see Bryce Canyon. Hopefully it is still open! And then it's down to San Diego. As mentioned before, throughout the US, we've been saving money on hotel rooms by using coupon booklets which we've found in tourist information places and various restaurants. We've been able to save anywhere from just a few dollars to as much as 40% on rooms. For the most part, they've been inexpensive enough to be favourably comparable with camping. Sunday 02 December - I was sorry to leave this particular hotel, it was a nice one. And Phoenix (or at least the Glendale part of Phoenix) looked as though it could be a good place to cycle with wide roads, bicycle lanes, etc. The terrain around Phoenix reminded me a bit of Kamloops, but the layout of the part of Phoenix we were in reminded me just a little bit of Winnipeg. On our way north to Prescott, we passed by the Agua Fria National Monument, and then into the Prescott National Forest where Prescott is located. The terrain around Prescott is a combination of steep hills, gradual hills and some flatter stuff. It looks like it could be a good challenge to cycle there. And the temperature in Prescott is slightly cooler than Phoenix. I can see why people go to Phoenix in the winter ... December 1 yesterday, and it was beautiful there. The temperature was probably somewhere around +21C. In Prescott we stayed with another cycling forum member who is part of Warmshowers, a free worldwide hospitality exchange for touring cyclists. Andrew and Karin, who welcomed us into their home, showed us around the neighbourhood where they live, and then we spent the evening talking about hiking, cycling, and travelling. We drove from Prescott up to Williams where we had brunch, and then up to the south rim of the Grand Canyon where we first had a good look over the edge. Then we got our bicycles out for a ride. The road goes near the edge with lots of good places to stop for view points, and the walking path appears to be right on the edge with nothing to prevent you from toppling off. The views are great, and I would recommend cycling there rather than driving to be able to see more. The road is good for cycling, with some climbs to challenge the rider. However, I suspect that it could be busy in the middle of summer. One odd occurence ... just as we got back into Grand Canyon Village, a police officer pulled us over and asked Rowan if he were the young man who had been yelling at motorists. Rowan and I had nice chats with three people as we looked over the edge (two of whom took our photos), and there was certainly no yelling. We were all appreciating and marvelling at the view. And we had no negative encounters with motorists. So we have no idea what that was all about. Me: I remember seeing it once before, and if I recall, that was from the North Rim, or where that tower is. Mom: No, it was South Rim; in fact we stayed in a motel there ... back when things weren't so expensive! We did stop at the tower, which is also on the south side, on our way out of the park. That was in 1974! We took you kids out of school in Sept(because Dad couldn't take summer holidays); shortly after we got back you learned about erosion in class, and we reminded you that you'd recently seen one of the largest evidences of erosion. And then we spent another lovely evening chatting with Andew and Karin. Tuesday 04 December - We said good-bye to Andrew and Karin who were so hospitable to us, and continued our journey. Today we drove from Prescott to Flagstaff, via the scenic route. I had no idea what to expect on that route, so it was a bit of a surprise when we drove into Jerome. According to my map, it's a ghost town, so I was expecting empty buildings, tumbleweed, and an eirie feeling ... much like a ghost town I visited in southern Alberta all by myself a few years ago. Jerome has a ghost town area, the mining area, but it is an active, vibrant arts community now. And it is a fascinating town because of the way it is perched precariously on the edge of the mountain with a great view of the valley. It's near the Tuzigoot National Monument, and overlooks it. We stopped to take some photos, but would have liked to spend more time there ... we just simply didn't know this place existed! A friend of ours, John, says: "My great uncle "Shorty" Bud Powell moved to Jerome in the 1940's when there were 50 people there and founded the art community now there. Many many saw him as the original artist of Jerome. He owned "High Class Junk" a store there. He passed away many years ago but Bud wore his silversmithed work all over his hands and his paintings won all the county fairs. He was unique and always was known as "Shorty"." After Jerome came Sedona, which is a pretty town surrounded by gorgeous red rock scenery. Apparently the RAAM (Race Across America) route goes up and over the range through Jerome and Sedona. That would be a challenging part of the ride!! After Sedona came Flagstaff, and then the Painted Desert. The whole area is beautiful, and we'd like to spend more time there. I'd really love to bring my good camera and spend some time photographing it all. We crossed the Glen Canyon Dam at Lake Powell, and finally ended up in Kanab for the night. All was dark when we got settled in the motel. The sun seems to be setting so early these days. Wednesday 05 December - Overnight, a crew of people must have moved an enormous red cliff in front of the hotel where we are staying. It's quite the view!! Stunning! And I had no idea it was there last night. In fact, the Kanab area is surrounded by red cliffs. We were going to spend two nights in Kanab, but decided to take our chances on finding a place closer to Bryce Canyon for tonight, so off we went, up Hwy 89 and then Hwy 12 to Bryce Canyon. I had been to Bryce Canyon many years ago, but had not realised the size of the area then. I thought we might spend an hour or so cycling the road, but the whole road through the Park was quite long, and quite a climb. So we opted to wait to cycle until tomorrow. Instead we drove the route, and stopped at all the overlooks, and I'm glad we did because we would not have seen everything we saw if we'd cycled. It was also quite chilly as we neared the end of the road because of the altitude and snow in the ditches. That said, I would like to cycle it one day in the future, when we've got more time. There are several overlooks on the main road, and they've got good views, but I kept thinking that there was more. Those views didn't seem all that familiar to me, and I remembered something else entirely. As a last minute, spur of the moment thing, we decided to take a side road to the Bryce, Inspiration, and Sunset Lookouts. At first glance, the Bryce Lookout was similar to what we had seen before, but we decided to walk a part of the trail to where we could see a viewpoint kind of sticking out into the valley. And when we got there ... WOW!! What a view!! It was almost dizzying. This was what I was missing ... what I thought was at Bryce Canyon. But it had been so long since I had seen it that the effect was as if I had never seen Bryce Canyon before. Of all the red rock canyons we've seen so far, this was the most spectacular. Yes, of course I took photos, and longed for my good camera! We would love to return to spend more time ... to hike and cycle and explore. All too soon, we had to leave Bryce Canyon, but only because the sun set. If the sun had decided to remain high in the sky, we would have been there for several more hours. We saw a number of places to stay on the way to Bryce Canyon, but many were closed. Ruby's Inn, however was not. And evidently, I have stayed there before, back in the 1970s. Ruby's Inn is quite a large complex which includes an indoor hotel, several motels, and a camping area. We could have stayed in the main building (where the pool was), but we opted to stay in one of the motel units instead (less expensive, but still very nice room). I felt very comfortable when I saw the place, and when I walked in, so maybe there was a bit of deep down memory at work there. The main building had a lodge feel to it, complete with a beautiful, enormous Christmas tree in the lobby area. There was also a good restaurant on one side of the lobby, and a large, interesting gift shop on the other side of the lobby. During the summer, Ruby's Inn is probably quite expensive, I would imagine. But in early December with maybe 3 of the units booked, it was quite decently priced. If we had known, we might have planned to stay longer. Meanwhile, the plan is ... Las Vegas tomorrow. We'll see how that goes. I wish we could spend more time here in the Bryce Canyon area, but we'll have to return another time. And then ... San Diego the next day. Thursday 06 December - Today we added Utah to my list of US states I've cycled in ... approx 15.23 km in Red Canyon on our way out of the Bryce Canyon area. There is a nice paved bicycle path through the Red Canyon that goes on for quite a way. We cycled 7.5 km up the path from the most western pull-out area, and the path continued quite a way from where we turned around. We would have cycled the length of the path, but needed to get on the road to get to Las Vegas or beyond. Our first route was to use Hwy 9, beside (or so I thought) Zion Canyon. When we turned onto Hwy 9, there was a sign about a fee area, but I really didn't think that they would charge a fee for driving the highway. I thought Zion would be like Bryce where tourists turn off the main highway, and go into the Canyon. But that wasn't the case with Zion. It costs $20 to drive Hwy 9, because it goes partially through the Zion National Park ... making it the most expensive toll road we've ever encountered!! We turned around and took the long way, back through Kanab, and around by the Pipe Spring National Monument on Hwy 389. From there, we went through St George. The last time we drove through St George in 2005, my impression was that St George was quite a small town. My impression this time was that it is a decent sized city. Either it grew a lot in the past 7 years or I saw it from a different angle. We debated which way to go through Nevada, and decided to go the direct route on the I-15. We've driven it before ... direct, but a bit boring. When crossed the border into Nevada, we stopped at a Tourist Information Centre in Mesquite and found out that there was some sort of conference on in Las Vegas, and that most of the hotels etc. would be booked. So, when we got to Las Vegas, we decided to drive right past (the second time we've done that), and find something on the edge of town or elsewhere. One day we might go to Las Vegas, but for some reason it just doesn't really appeal to me. But the problem is that there really isn't much between Las Vegas and Barstow, CA, so we ended up staying in a casino in Primm ... very fancy on the outside, not so much on the inside. Beds and toilets have been a bit of an experience as we've travelled around the world, and of course, they are two things we have used pretty much every day. For example ... Asian beds are very hard, but comfortable. In Germany the double bed usually consisted of two twin beds pushed together, which is a great idea. And hotels in the US like to give a couple two rather small Queen-sized beds for some reason I don't really understand. And pillows ... the most unusual pillows were found in certain parts of Europe. They were big, square, and rather floppy. I ended up folding them in half to try to make them the size I was used to. And as for toilets ... there were a certain type of stand-up ones in Asia, and a different type of stand-up toilets in Europe. Meanwhile, Australian, Asian sitting toilets, and most European ones are efficient and flush well. North American toilets seem to have a great deal of difficulty with flushing. The ones that don't work well are the ones where the bowl is full of water. In Australia (and many places in Europe), there's only a tiny bit of water in the bottom of the bowl, but the flush is really powerful and there are rarely any problems. Oh, and the water doesn't swirl the opposite direction in toilets in the southern hemisphere from the northern hemisphere ... at least not in Australia. In Australian toilets, the water doesn't swirl at all. Friday 07 December - We were thinking about cycling in Nevada, and had hoped the perhaps Primm might have more to it than two casinos and several fast food places, but it didn't. It would have taken numerous laps around the parking lots to reach 10 km, and we weren't all that excited about that prospect. While I do have a goal of cycling in every state in the US, I also want those rides to be at least reasonably enjoyable. So we passed up Nevada ... till later. And this ends my chances of adding more US states to the number of US states I've ridden in on this trip. For now, I stop at 33 states: Alabama, Arizona, California, Colorado, Connecticut, Florida, Idaho, Illinois, Iowa, Kansas, Louisiana, Maine, Massachusetts, Minnesota, Mississippi, Missouri, Montana, Nebraska, New Hamshire, New Mexico, New York, North Dakota, Ohio, Oklahoma, Oregon, Pennsylvania, Rhode Island, Texas, Utah, Vermont, Washington, West Virginia, and Wyoming. As for US states I've visited, but have not cycled yet, add Indiana, Michigan, Nevadah, New Jersey, South Dakota and Wisconsin to that list, for a total of 39 US states. We went to the second casino for breakfast because it had an Ihop, and were interested to discover Bonnie and Clyde's car, a car used by Al Capone, and some historical information on the mob aspect of Las Vegas. And then we started the long and deserted drive from Primm to Barstow. Last time we did this drive (2005), we think there were more things open. This time practically anything that looked as though it might have been a service station or restaurant was closed and deserted. Some looked in pretty bad shape like they had been closed and deserted for some time. Last time we had stopped at one gas station/restaurant partly because we needed fuel, but party because there had been an accident further up the road and traffic was almost at a standstill. There we heard we could use a frontage road to Barstow to get around the accident, and that's what we did. This time, that gas station/restaurant looked like it had been closed for years. You'd definitely want to fill up in either Primm or Barstow because there's nothing else out there anymore! Nothing but the Mohave National Preserve. But once we hit Barstow, it was busy all the way through Los Angeles to San Diego. We've been to Los Angeles several times, but one thing we noticed this time was the smog. Los Angeles usually has a light layer of smog hovering over it, but this time there was a heavy layer of orange cloud, so think we could almost taste it. We've never seen it so think before ... perhaps it was just the wind or weather system. Thankfully it cleared up a bit as we got closer to San Diego. And finally, we are in San Diego, California! It's the first time I've been here (to my knowledge). We drove in just after it got dark so I'm not quite sure what it looks like ... we'll find out tomorrow. We're here, staying with Dave and Anne, another cycling forum couple, for at least a couple nights, and already we've had a very enjoyable evening together. Fortunately, I think we'll remain in the Pacific time zone now for the next month or so. Saturday 08 December - When we got up in the morning, San Diego was fogged in. Evidently this does not happen very often (but, of course, I was there so what did we expect??). We were thinking of going for a relatively lengthy ride with Dave and Anne, but instead waited till the temperature warmed up a bit and fog started to burn off, then went out for a shorter ride, 25.58 km, to a coffee shop and back. It was a great ride with some challenges, and Dave and Anne provided commentary as they showed us their neighbourhood. Dave was away visiting his brother, so we had a quiet evening, listening to Christmas music and working on photos, and then, a little later in the evening, Anne, Rowan and I relaxed and chatted about travel, hiking and cycling, in their hot tub with a foggy view of the city below. A wonderful way to end an excellent day. Sunday 09 December - Today we did a trolley and yacht tour of San Diego with Old Town Trolleys and Hornblower Cruises. We drove to the Balboa Park, walked through, and caught the Old Town trolley to Old Town where we walked around a bit. That was interesting and it would have been nice to have the time to explore some more, but we were on a rather tight schedule with the trolley. Then we caught the trolley to the harbour where we did the southern loop of the harbour tour. It was quite enjoyable and the only thing that would have made it better would have been to do the northern loop as well, but again, not enough time!! And then we did the rest of the trolley tour, out to Coronado and around the city. As with the other tours we've been on, it was an interesting way to see the city, but could have been improved by being a 2-day hop-on-hop off style tour. 1 day was just not enough to see it all, and to be able to explore at the available stops. There was a lot to see! Also, although the drivers (who also did the commentating while driving) weren't bad, they should really take a trip to London and Edinburgh to see how they do their tours ... and to pick up some ideas for their commentary. Dave and Anne were out for the evening, so we spent a quiet evening watching NCIS on TV and catching up on photos etc. When they returned we were able to talk a little bit more, and take some photos. It has been really nice to get to know them better. We are starting the last leg of our US journey tomorrow ... up the west coast from San Diego to Canada. We won't cover that all in one day, of course, but we should be back in Canada early next week. Meanwhile, there's the west coast and pacific ocean to see! I'm missing the process of putting up a Christmas tree and Christmas decorations, but have enjoyed seeing the decorations in the places we've been over the past couple weeks. They have helped with a festive feeling. Monday 10 December - We had a good drive from San Diego up to San Luis Obispo today, mostly along the coast. The areas we cycled through reminded us in a number of ways of Australia. There was a section which was very much like Gippsland in Victoria, just north east of Wilson's Prom. There was another area that reminded us of the Great Ocean Road, in the Lorne area. And there are a few eucalypt trees here and there to add to the Australian effect. We would have liked to spend a bit more time in Los Angeles because we missed seeing two people there. However we are in LA periodically because of flights, so hopefully there will be a "next time". We passed through Los Angeles quite quickly, and were in Santa Monica in no time. The only thing I know about Santa Monica is that the old sitcom "Three's Company" had been set there. When we got into Malibu, it was was smaller and much less developed than expected. Somehow I envisioned that by now that area would look a lot like the Gold Coast in Australia, all busy skyrises and concrete. Instead Malibu was just a scattering of small houses. Is it still as popular among surfers as it used to be? We wanted to make a short stop in Santa Barbara, but my map wasn't good enough, and we shot past Santa Barbara before I knew it. Then when we turned around to try to find our way back, I don't think we went far enough back. We wandered about a bit, and finally decided that we had better keep moving. According to the map I had, however, Santa Barbara did look interesting enough to make me want to return there. Next time! We were invited to San Luis Obispo by Pat and Theresa back when we were in Paris, and we welcomed the invitation. Now that we're in the area, we really appreciate the invitation. It looks like a beautiful area and we're looking forward to doing a bit of exploring. We spent a good evening chatting with Pat and Theresa. Tuesday 11 December - This morning, we slept in a bit. I'm actually a bit surprised how tiring travel can be. I've travelled a fair amount before, but never for this long a period of time. When we got up, we headed out to the Los Osos area to see the ocean! We spent a good portion of the afternoon walking along the cliffs next to the ocean, until the weather started moving in, with a chilly rain. When that happened, it was time to visit a little bakery in the town of Morro Bay. Morro Bay is a cute little town, and we were able to watch the seals from there. We had thought about cycling ... we even brought the bicycles and cycling gear, but the chilly rain made the idea of cycling a little less appealing, so we settled for that long walk instead. And we spent another interesting evening chatting with Pat and Theresa. Might want to have a special glance at the clock at 12:12 pm tomorrow. :) It will be 12/12/12 12:12. Wednesday 12 December - We were going to go for a bicycle ride today, but it rained, and quite heavily in places. A cold rain. First we drove up to Paso Robles, where our ride was supposed to start, with our bicycles. Pat and Theresa had suggested one of their favourite routes, and we were going to give it a try. But the rain bucketed down all the way there, and also while we were there. So after a bit of a debate about what to do, we decided to drive over to Hearst Castle instead, but we drove part of the intended cycling route, and it was lovely. If it had been dry, it would have been a good choice. When we got to the Hearst Castle, we were a little taken aback by the price ... and then the tours were filling up fast while we stood there because a tour bus had come in. So instead we went to the free interpretive centre for the Hearst Castle, and found that was quite good. Rowan was especially interested in the newspaper/media aspect. And then we returned to Paso Robles to have dinner (Mexican) with a good friend, Bernie Barge. Very good to see you again Bernie!! This part of California, around the ocean and all the way up into the surrounding hills, continues to remind us very much of Australia. :) There were places where we could have easily been in either Australia or California, and if we had taken a photo of each, I think people would have a tough time guessing which was which. This part of California is also really pretty (much like Australia), and is an area we would return to for the cycling, and the ocean, and the great scenery. Tonight was our last night with Pat and Theresa, and we had another interesting evening of conversation before saying our good-byes. Well, that's the plan at the moment anyway, we'll see how it goes. Thursday 13 December - Today, we stopped along the California coast, not far from San Luis Obispo, to see the elephant seals ... and there was a 2 day old baby among them!! :) I don't think I've ever seen seals in the wild before a couple days ago, and I don't think I've every seen elephant seals, in the wild or otherwise (although it is possible I may have seen then in a zoo). They were fascinating to watch - the way they interacted with each other, and the fact that there was a range of age groups. It was also good to have a volunteer group there monitoring the situation and answering questions. Our route followed the coast, through the Big Sur area, and all the way to Monterey. The coastal highway (Hwy 1) is beautiful, and very twisty. I had to take ginger tablets to be able to enjoy the views. At Monterey, we turned inland on Hwy 101 to San Jose, and up Hwy 680. I have been to San Jose and area on at least two occasions before. And then we got closer to San Franciso. The traffic in the area around San Francisco was some of the heaviest we've encountered on this trip. Rush hour going through places like New Orleans was nothing compared with this. The flow of traffic never completely stopped, but ... S-L-O-W!! I wouldn't want to deal with that every day. It took us forever to go by San Francisco and finally get out the opposite side. Friday 14 December - Today, we drove through the Napa Valley, and the Sonoma area. Just a quick glance at one of the wine regions of California before heading over to the coast and and then northward. And again, the area reminded us a bit of the Yarra Valley area north of Melbourne. We returned to the coast at Jenner, and drove all the way up to Leggett on Hwy 1 before returning to Hwy 101, through places like Stewarts Point, Point Arena, and Fort Bragg. Once again Hwy 1 is a quite a twisty coastal road (which required ginger tablets again) with some great views. Night fell when we were still on the coast, so we turned inland and made for a small town, Garberville on the southern end of the Avenue of the Giants. Somehow I had expected something a little more touristy ... after all it is right at the southern end of the Avenue of the Giants, a fairly significant tourist attraction! But as it was, Garberville is a small town, without much in the way of ammenities. It is puzzling to me that a tourist attraction like the Avenue of the Giants should have such a small, non touristy town next to it. However, we did discover that when the area was first settled, tourism was probably the furthest thing in their minds, and that mentality has probably continued. We had three choices for dinner ... picking up something at the grocery store, going to a bar with an attached pizza place, or going to the Chinese food place. We didn't know which would be the best option and we drove back and forth between the places trying to decide, then opted for the Chinese food place, and fortunately it was quite good. Then we returned to the hotel and watched White Christmas on TV. White Christmas was good as always. A pity the hotel wasn't much to write home about ... is it really too hard to clean a hotel room properly, to vacuum the floors, to do something about the mildew and old cigarette smell? A hint to motel owner/managers -- the smoke and mildew smell is usually in the curtains, and heating or air conditioning units. All it takes are new curtains and a thorough cleaning of the heating or air conditioning unit. And get rid of the carpets. Saturday 15 December - We've been driving up the west coast US ... lots of ocean, cliffs, beaches etc. And today, we drove up the Avenue of the Giants, through lots of Redwoods ... BIG trees. We stopped to take a few photos and also stopped at the visitor information centre to have a look around. I like visitor information centres, and I liked this one too, but it seems that some of the ones in the US are funded by donations or something, rather than by government funding. We've been in a lot which have asked for donations to help keep them going, and several look like they haven't been updated in at least 10 years. This one was well kept, and had quite a bit of information, but a lot of it hadn't been updated for a decade. I have to presume that they just don't have the funds to hire people to go out and measure the trees again, and do other similar things. We drove up to Eureka, along the coast through Trinidad, and through part of the Redwood National Park to Crescent City, edging the Jedediah Smith Redwoods State Park. So we got to see more redwoods! Then we crossed into Oregon to Grants Pass, through the Smith River National Recreational Area. Yesterday was a nice day, but today has been raining and cold pretty much all day. When we could see the mountain tops through the cloud, there was snow on the mountain tops, but fortunately not on the roads we drove. And we found out how fortunate we were when we got into Roseburg and checked into a hotel there. We were informed that a mountain pass we had been considering had at least one very serious accident, and that the pass had been closed because of all the snow. Thankfully, we didn't encounter any of that. Sunday 16 December - Today was a short drive from Roseburg to Eugene, even though we took a short detour to see the historic part of Cottage Grove. It actually reminded me a lot of Lacombe, Alberta for some reason. Today is December 16th, less than 10 days till Christmas. But the shopping centre was practically empty, there were very few Christmas decorations, and no Christmas music. The place could have been a museum ... silent and hollow. I've never seen a shopping centre so un-Christmassey less than 10 days before Christmas!! I've seen more vibrant shopping centres in mid-January when everyone is trying to pay off their Christmas spending and isn't shopping. I know the economy is bad, but it was like the place wasn't even trying to attract customers. Or maybe Christmas in the US, or parts of the US, just isn't as big as it is in Canada. In some of the shopping centres in Canada, you're almost pushing your way through a forest of Christmas decorations starting sometime in about mid-November. Not quite, but you get the idea. Very different from this shopping centre. Since we got to Eugene fairly early, we spent the rest of the day resting and working on things like photos and the story. We did entertain the idea of cycling, but the cold rain continued almost all day. Monday 17 December - Today we visited the home of the Bike Friday, and took a pair of them out for a test ride ... yes, we are considering the purchase of a pair of Bike Fridays. :) We were especially looking at the New World Tourist model. The thing is, with the type of touring we do (multi-modal - on and off trains, ferries, etc. ), and multi-accommodation (camping, hostels, hotels, friends & family, etc. ), our full-sized bicycles have been difficult to manoeuvre and store. The ideal situation for us would be to have the ability to fold up our bicycles quickly, pop them into a bag, and either board whatever non-cycling method of transportation we choose to use, or go up into whatever sort of accommodation we happen to select for the night. For example, we flew into Taipei, then took a shuttle to the train station, then arranged to have our bicycles put on the train, then took the train to Hualien. There, we did a 4-day hub-and-spoke tour before repeating the journey in reverse back to Taipei. We were able to do that with our full-sized touring bicycles, but it was a hassle. It would have been so much easier to transport folding bicycles in the shuttles. On the way to the train station, we had to arrange a shuttle that did not have any other passengers, so our travel time was at the mercy of the shuttle availability. On the way back, the regularly scheduled shuttles were full and we had to pay for a special shuttle. If we had folders, we could have put them on any shuttle and they would have saved us money. On the train, it might have been possible to put the folders in the luggage area rather than having to make special arrangements for them in an unfamiliar language. The full-sized touring bicycles fit in the hotel we stayed in all right, but the folders would have been easier to transport up and down, and would have left us with a bit more elbow room. Another example, when we got to Hokkaido, Japan we found out that full-sized bicycles are not allowed on the trains. We had thought we might cycle northward or eastward from Chitose, and then catch a train back when our 10 days was up, but since we couldn't use the trains, that idea was out, so we had to come up with another plan. We'd like to have the option of catching the train on our next trip there, and I believe folding bikes are allowed on the trains. Folders could also replace the hassle of rushing to put the bicycles onto the bicycle car of the trains in Europe, hoping there would be enough room for them, paying extra for them, having to carry the bicycles up and down stairs when the lifts weren't there or were out of order or were too small, etc. etc. And ... I probably wouldn't have fallen out of one of the trains when we encountered a difficult bicycle storage situation (see the Switzerland part of my journal) if we had folding bicycles. And folders could reduce the airline charges. Some airlines don't charge for full-sized bicycles, but some do and some charge quite a bit, especially since there are two of us. Folding bicycles, however, would fit within the size limits of normal luggage and would not incur an extra charge. In addition to making transportation more cost effective and convenient, having folding bicycles may make storage more secure. In most cases in Europe, we could not keep our bicycles in our room because the lifts and rooms were so small. We had to trust our bicycles would be all right in whatever storage room was provided. However, a folding bicycle neatly tucked into a bag could be transported up to a room because it would not look any larger than most of the suitcases people haul around. When we finally pulled ourselves away from the Bike Friday shop, we drove out to Florence on the coast, and continued northward on Hwy 101. We wanted to see more of the coast, and particularly the Oregon coast. We stuck with the coast all the way up to Astoria. The Pacific Ocean did not look happy ... grey and cold, with huge waves. We stopped in one town and took pictures of the huge waves crashing over the sea wall and onto the road. We're in the nicest hotel that we've stayed in on the US portion of our trip. :) It's so nice, I could quite easily live in this room, or rather, suite. It's kind of vaguely making me want to live in a house again ... to settle in one spot again for a little while. It is a little bit above our budget, but we figured after all the less than ideal hotels we've encountered along the way, we would splurge. Tuesday 18 December - Today's drive took us up the coast from Astoria, OR to Aberdeen, WA, and then inland through Olympia, beside Seattle, and then up into BC. There were all sorts of predictions of snow and bad weather, and the part of the trip up the coast was a little snowy and icy in places, but after we turned inland, the road was good the rest of the way. And the traffic around Seattle wasn't even too bad. So we made really good time. Even the border crossing was uneventful. Thanks so much to everyone who put us up and met with us along the way. We loved a lot of the scenery along the way, but you made this US portion of the trip so much more interesting. We enjoyed the conversations and getting to know you more. So we're back in Canada again ... after just over 6 weeks, and 17,500 km of travelling in the US!! We've been from BC to Alberta, all the way down to Pensacola, Florida, across to San Diego, California, and back up to BC again. The plan is to stay in BC for approximately the next month. We might do a little bit of travelling to see some family and friends, but not too far. Apparently today is a "global observance" for people like me!! I became a migrant in 2009. Wednesday 19 December - We had a great 6 weeks in the US!! :D 17,500 km in 6 weeks ... in the van, of course. But we also cycled here and there ... in Idaho, Oklahoma, Texas, Louisiana, Florida, Alabama, Mississippi, New Mexico, Arizona, Utah, California, and Oregon. In between visiting everyone, we also got to see heaps of sights and wildlife and many cities and towns ... lots of good experiences and memories. I have a mountain of travel brochures and maps which I've collected during our 6 weeks in the US!! I'm looking through them and realising that we could spend another 6 weeks in each state we visited just seeing all the things we missed! Today was mostly spent resting ... we slept about 11 hours last night. Our big effort was to unpack the van and see what exactly we had in there! Thursday 20 December - 6 months ago, we set off from Melbourne to Hong Kong ... not sure what we would encounter, do and see along the way. These 6 months have been full of new and interesting experiences ... I'm so glad we had this opportunity! Today we decided that we had better think about becoming more active and getting into shape for our return to Australia. So, we bought a gym membership at one of the local community centres. The community centre has a swimming pool, and a gym full of a variety of equipment. It looks good. And then we did a little Christmas shopping. Friday 21 December - The world is about to end!! Or maybe not. I drove today! After all, if the world is going to end, I might as well get behind the wheel of a car! It's the first time I've driven a motorised vehicle since ... ummm ... well, "officially" June 1, 2010 (2.5 years ago), but I did drive a vehicle about as far as I drove today (not far) maybe a year ago. After driving 1000 km a week when I was commuting to university in 2007 and 2008, and about 300 km a week commuting to work during the first half of 2010 ... I had enough. 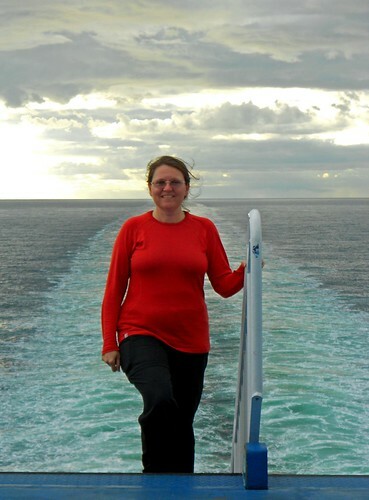 On June 1, 2010, we moved into the town where I was working when we embarked on this trip, about 800 metres from my office, and so I stopped driving and started walking. Then I was logging 3.2 km a day walking. Much healthier than all that driving. And speaking of healthier activities, Rowan and I joined a gym yesterday, for the month we're here in Canada, and today we worked out. It may be my imagination, but it seems to me that the weightlifting machines have become more complicated than they used to be when I was into bodybuilding. I also wanted to use the freeweights, but sad to say ... the lightest one on the rack looked too heavy for me. Back in the good ol' days of bodybuilding, I wouldn't have had that problem at all!! Yes ... unfortunately we haven't been doing much of anything over the past couple months in North America, so we've got to do something to get in shape for our return to Australia!! After our workout we did a bit more Christmas shopping including some extra walking. Then we returned home and I got busy trying to catch up on story and photos. Saturday 22 December - Another good workout today ... 30 minutes on the spin bicycle, 12 minutes on the rowing machine, 35 minutes on the treadmill, and some weights. Plus a whole bunch of walking while doing some Christmas shopping. I'm trying to build up my standing and upper body strength just in case I need it in a couple months. Meanwhile, Rowan did 15 minutes on the spin bike, 15 minutes on the rowing machine, 15 minutes running on the treadmill, 15 minutes swimming (8x25m laps), then about 10 minutes luxuriating in the swirl pool at the gym. But I am so stiff and sore. I haven't been this sore after working out in ages. The only consolation is that I'm doing this now, at a time when I can get quite a bit of rest. I tremble to think what would have happened if we had not decided to join the gym now, and I had gotten into a physically intensive job in a couple months with minimal prior physical activity. I'd be in real trouble! We walked a little bit, Christmas shopping or browsing, after the workout just to kind of stretch things out. And this evening ... good-bye grey ... hello reddish brown!! Sunday 23 December - Church with my parents this morning, and then a workout at the gym, and shopping in the afternoon. The workout was lighter than the last couple days ... I needed to let my poor aching muscles recover a little bit!! I did just 30 minutes on the trainer and 30 minutes on the spin bike. Plus a bit of walking outside as well, when we shopped. And what were we shopping for? Halva!! It took a while, but we found it. :) Grocery stores don't seem to know where to put Halva when they get it in ... they don't seem to know what it is. And so it is anybody's guess where it might be in any particular grocery store any particular year. If you're looking for it, try the deli section or the international foods section ... those would be my first two guesses. Sometimes it appears in a refrigerated section, sometims it is on the shelf. Sometimes it is in a block (as in the link below), but sometimes it is in a plastic tub, like a margarine tub. It can be quite the treasure hunt to find it! "Halva dates back to the 13th century and is the oldest dessert in Middle Eastern cuisine. By the 17th century, the Turkish elite held elaborate dinners called “Halva Supper” where varieties of halva were served as a kind of intermezzo between sessions of discussion and entertainment." It's made of crushed sesame seeds (tahini), and is richly sweet. Rich enough that you wouldn't want to eat too much of it at any one time. I like the variety made with chocolate -- it's delicious, and something I've been eating since I was a little girl. My great-grandfather introduced me to it. This evening was spent "wrapping" Christmas presents. I've never been a good Christmas present wrapper, so I was thrilled with the gift bags became so popular ... so much easier. Monday 24 December - Christmas Eve - 30 minutes on the spin bike, 15 minutes rowing, and 45 minutes on the treadmill. I was so sore after my first two workouts (21st and 22nd), felt a bit better after my workout yesterday, and today's wasn't so bad. There's something to be said for sticking to it. It does gradually become easier. And again, I'm glad I'm doing this now and not as a part of a working day. Now I can rest and recover. My family celebrates Christmas Eve. It's a Norwegian tradition which my mother's family adopted many years ago when they lived in a predominantly Norwegian community. We read the Christmas story and open presents on Christmas Eve. Tuesday 25 December - Merry Christmas! Today we took a rest day from the gym and exercise. For the first time in 31 years I spent Christmas Day with my grandmother!! And my uncle! And for the first time ever, I spent Christmas Day with my aunt (I don't think we've ever had a Christmas together) and cousins. It's also been a few years since I spent Christmas with my parents. We had a lovely Christmas Day with my grandmother, parents, uncle, aunt and cousins ... dinner, Christmas Crackers, a Christmas story, and the exchanging of gifts ... really enjoyable and long overdue. Wednesday 26 December - Happy Boxing Day! Today we were back in the gym, trying to work off Christmas dinner ... 45 minutes on the treadmill, 45 minutes on the spin bike, 10 minutes on the rowing machine. After our workout we stopped at Tim Hortons for coffee (and donuts) ... terrible, I know!! But when we get back to Australia I won't have the wonderfully delicious Tim Hortons donuts anymore. In the past, I have complained about Australian coffee, but after drinking the swill that is served up in Tourist Information places and hotels in the USA, Australian coffee is wonderful. But I have to wonder ... what do Tourist Information places and hotels in the USA do to their coffee to make it taste that bad? Do they add water from rusty pipes? Dirt from the parking lot? What's their secret? Actually, the free Tourist Information coffee tasted like they were trying to save money on the coffee, and instead of putting one full baggie of grounds in, they were scooping about half of the grounds out and putting it in a bucket for use later. I had to add sweetener to the coffee just to give it some sort of flavour, it was so weak. The hotel coffee was awful in a different way that's sort of hard to describe. Again, I had to add sweetener, but not to give it flavour, instead to disguise the flavour. Strangely, the coffee Europeans call "Americano" is really good. So why is it that the Europeans know how to make "American" coffee much better than the Americans in Tourist Information places and hotels?? I've updated the story ... not all the way up to the present, but I'm getting there. Now that Christmas is over, I might have time to catch up!! We'll be in Canada for about 3 more weeks, and may do a little bit of travelling if we feel like it, or we might just stay put for the time being. On January 16th, we're on the road again. Thursday 27 December - We started going to the gym on Dec 21, and the first two days left me in agony ... I was badly out of shape. Now, a week later, this doesn't feel so bad. Photos, photos and more photos ... of Paris and Plymouth. Friday 28 December - Today's workout ... 30 minutes on the spin bike, 30 minutes on the treadmill, 12 minutes on the rowing machine, 24 minutes on the elliptical machine, and 50 crunches!! Meanwhile Rowan did 15 minutes on the spin bike, 15 minutes on the rowing machine, 15 minutes on the walker, and 22 x 25 laps of the pool at a slow pace. Rowan has been focusing more on the swimming side of things. He has expressed interest in a sprint triathlon, and the way he's going, he could do it. Saturday 29 December - Today I decided to take a break from the regular gym activities and join Rowan in the pool. I managed 16 lengths. It's the first time I've swam in quite a while. And no, I don't swim well, but I can propel myself from one end of the pool to the other. Meanwhile, Rowan swam 32 lengths with a lot more grace and speed than I did. Sunday 30 December - It was sunny here in lower mainland BC today, for the first time in a long time, but it was quite chilly and everything had a thin layer of ice all over making it quite slippery. Even walking across the church parking lot was a bit of an adventure. So we opted to go to the gym and wait till the ice disappears before attempting a ride outside. Hopefully tomorrow will be a drier and less slippery day. At the gym, I walked briskly for about an hour, and Rowan swam. Monday 31 December - Today was somewhat more sunny and somewhat more conducive to cycling outside, so we went for a 12.44 km ride with my father ... just around the local area here. It was rather chilly, but for the most part, we were dressed for it. In other news ... apparently 2012 has been a very good year in terms of world history. "It may not feel like it, but 2012 has been the greatest year in the history of the world. That sounds like an extravagant claim, but it is borne out by evidence. Never has there been less hunger, less disease or more prosperity." Centuries (100 mile bicycle rides) in each of the first four months of the year, for a total of 18 consecutive "centuries a month". 200K Randonnee on Saturday 10 March ... still involved in Randonneuring for 12 years in a row. Round the World trip - 7.5 months, 13 countries (Australia, Hong Kong, Taiwan, Japan, England, Scotland, The Netherlands, Germany, Luxembourg, Switzerland, France, Canada and the US). We were able to cycle in all but Hong Kong, including, but not limited to ... a 4-day hub-and-spoke tour in Taiwan, a 5-day cycling tour along the North Sea Route in Scotland/England, approx. 2 week tour up the Rhine Route, a 10-day hub-and-spoke tour in Switzerland, and a slow 3 weeks from Bordeaux up the Velodyssey Trail to La Rochelle. And we're still travelling. Adding 10 more US states to my collection of US states I've ridden in. I've now reached a total of 33 states: Alabama, Arizona, California, Colorado, Connecticut, Florida, Idaho, Illinois, Iowa, Kansas, Louisiana, Maine, Massachusetts, Minnesota, Mississippi, Missouri, Montana, Nebraska, New Hamshire, New Mexico, New York, North Dakota, Ohio, Oklahoma, Oregon, Pennsylvania, Rhode Island, Texas, Utah, Vermont, Washington, West Virginia, and Wyoming!! Riding with our young niece and nephew, who are fairly new to riding bicycles. They were very excited to show us their bicycles and to ride with us, and it was a lot of fun. Being proud of my parents for all the cycling they've done this year!! They've been cycling an impressive amount. Fireworks ... are they doing New Year's Eve fireworks in your area? We've checked various sources here in the Chilliwack area, but it seems that there are no fireworks. :( They don't seem as common as I think they should be. New Year's Resolutions = none. ride (cycling) a 200K, 300K, and 400K randonnee this year. ride at least one 1000 km month in 2013.
generally ride more than I did in 2012.
travel more ... around Australia, maybe over to New Zealand, possibly into Asia again. work on my Australian status. either learn French better, or start to learn another language ... or both. get my website all caught up ... and maybe improved and updated. I'm also toying with the idea of further education ... either computer-related (SQL, Microsoft) or teaching (TESL). In fact, it was nice enough to go for a longer ride outside. Rowan, my father and I logged 28.14 km, on one of my father's "usual" routes here in lower mainland BC, surrounded by fields and snow capped mountains. And then we went to my grandmother's place for dinner. She's 91, but still quite active and able to produce a really good meal. Wednesday 02 January - Today was another beautiful day, so Rowan and I decided to do another ride outside. We did yesterday's route in reverse, plus a bit just to lengthen it slightly, and so we logged 29.34 km. In one month's time, Rowan and I should be back in the area where we started, when we embarked on this Round-The-World trip. Hard to believe it's coming to an end!! But I am looking forward to being re-united with my good camera and bicycles, and Rowan is looking forward to being re-united with his bicycles. :) They're all in storage ... hopefully all still OK ... although there was that earthquake the day we left almost 7 months ago!! Thursday 03 January - Another great day in lower mainland BC. Since we were planning to visit my aunt and uncle for dinner, Rowan, my father and I did a shorter ride this afternoon. Just 21.22 km. Then it was off to Vancouver. On most visits to this area, we only get to see my aunt, uncle and cousins once, but this time we've had the opportunity to see them back in October when we came through and twice this time. Much more frequently!! We had a really lovely evening with them ... a good meal and conversation. It was so nice to be able to spend another evening with them while we're here. One day, perhaps, we'll live closer so that we'll be able to see each other more often. The drive back to Chilliwack was a little more challenging than our drive into Vancouver as it had started raining heavily, and by the time we got about halfway back, the rain had turned to sleet. But we made it all right. I have been adding photos to our Europe story ... more added from September 20th onward, and more to come. I hope to finish the Europe story by early next week. Friday 04 January - The rain returned, and so we returned to the gym. Good thing we got that gym membership! 65 minutes on the treadmill, most at 4 or 5% incline, for a total of about 5.5 km of walking. Plus 10 minutes on the rowing machine. Oh, and I appear to have lost about 2 lbs since January 1 ... but who knows, scales have this bad habit of giving you good news one day, and bad news the next. I'm labelling my Paris photos so I know what they are! This involves following the map of the bus tour routes we did, and walking my way through Google Maps Street View to see if I can spot the buildings and determine what they are. It's like doing the tours again! I've added more photos to my journal and a lot more text about the Paris experience. New stuff from September 20th onward. Yes, I'm spending this period of time that we're not going anywhere catching up on stuff. Once we get back to Australia, I might not have so much time. Sunday 06 January - After church, back in the gym again. 50 minutes on the treadmills, 15 minutes on the rowing machine, 45 minutes on the spin bike, plus some weights and some additional walking. :) Approx. 2 hours of exercise today. And Rowan is spending much of his time in the pool, still increasing the number of laps he is doing, and working on technique. 50 minutes on the treadmill, 50 minutes on the spin bike, 20 minutes on the rowing machine. I was soaked with sweat by the time I was done!! Meanwhile Rowan swam 42 lengths of the pool, plus walking on the treadmill. I probably won't be able to reach a lot of my clothes because they're well buried in our storage unit, but if I recall correctly, I packed one bag of work clothes which I left somewhere near the front of the unit. I have no idea what's in it, or whether it might have drifted to the back too. We'll see when we get there, I guess! Tuesday 08 January - 30 minutes on the spin bike, 15 minutes on the rowing machine, 40 minutes on the treadmill. Today I'm feeling it a bit. The 20 minutes on the rowing machine yesterday was a lot for me ... I think that's the most I've ever done on a rowing machine. At the bottom of our Europe story, I've done up a little segment on cycling to and from Heathrow, or at least travelling with your bicycles to and from Heathrow. There are several options ... Rowan and I have used a couple of the options, but the last time we were there, we learned about more. Getting to and from Heathrow, especially on foot or with bicycle in tow, isn't really easy. But now that we're aware of more options next time we go, it might be a bit easier than it has been in the past. Meanwhile here, it is very, very wet! Heavy rainfall warning. So, after working out for almost 2 hours today ... we then went out to an all-you-can eat Chinese buffet for dinner with my parents. Good thing we did workout for almost 2 hours today!! It's way too tempting to eat too much at those things! We've dropped below the 50% mark to make this a mostly-cycling tour, but if you include days we've ridden the spin bikes at the gym, we're still OK. :) Hopefully we'll be able to do some more cycling outside while we're here in BC, and then when we return to Australia it is summer, and for the first couple weeks we won't have a car, so there could very well be quite a bit of cycling then. That's one reason we decided to get this gym membership ... to get in shape for our quickly approaching summer in Australia. Thursday 10 January - This morning, we woke up to snow on the ground, but sunshine in the sky. The mountains look beautiful, all covered in fresh white snow. Fortunately, the roads dried off by early afternoon, and we were able to get out for a sunny, chilly ride ... but good! It was really nice to get back on the bicycles again. The high today was about +4C, so not too chilly. And in the evening, I began working on my North American photos. I've got lots, and it is going to take a little while to get through them, so it's good that I have this time to get started. Once we get back to Australia, we probably won't be able to do much work on photos for the first 2 or 3 weeks. We might not have internet connections or power availability for our computers, as we are hoping to camp. How can it be that roughly an hour after a good dinner I can be so very hungry again? I have this urge to bake a cake, topped high with icing, and then to eat at least a quarter of it (yes, I'd share with the others here. :)). But it's probably not a good idea given that we're all trying to lose a bit of weight. And I think that's part of the problem. When I'm not trying to be good about my diet or trying to lose weight, I can go all evening without eating and not notice. But when I'm making an effort, that's when I'm hungry!! Friday 11 January - Today we decided to do both the gym and riding outside. I swam (floundered through) 16 lengths of the swimming pool; cycled 35.4 km with Rowan and my father; walked about 2 km. Rowan did about double my distance in the pool. He's really been working at the swimming with some thoughts about a triathlon in mind. Hopefully we'll be able to continue the swimming and working out whenn we get to Australia. As for the bicycle ride, it is currently -1C, with a windchill factor of -7C. It was about 2C when we started our bicycle ride today (WC -4C), and dropped to about 0C while we were out there. We started the ride rather late because we had been in the pool, and by the time we were about 7 km from home, we had to turn on lights. Night was beginning to fall. After that ride, somehow the predicted 29C in Perth, Australia next week seems vaguely appealing!! I'm tired now. We've been putting in a lot of time in the gym (or riding outside when we can) lately. Saturday 12 January - 27.91 km on the bicycles outside today! Nice, but slow, ride with Rowan and my father. My legs didn't have much energy today, and I just couldn't get up any speed ... it is the 7th day of exercise for Rowan and me. We'll rest on the flight to Australia in 3 days time. It warmed up to 0C (WC -4C) while we were out there, and the wind was gusting around 32 km/h. Unfortunately, I don't have my really good winter cycling gear with me, so I think I was a bit lightly dressed for the occasion, and I suffered for it during the evening. Cold. You know that post-ride chill you experience after coming in from a cool or slightly cold bicycle ride? Yep ... cold to the bone. We've been exercising a lot since December 21 ... and kind of watching what we eat ... and I'm down 5 lbs now!! :) Rowan has also lost some weight. But ... I need to lose another 6 lbs to get back to what I was before we started on this Round-The-World adventure!! Obviously, the eating has been good. Too good. In addition to exercising a lot, we've also started doing a couple other things which may contribute to our health in general. We've been reading a lot more ... I've flown through several books in recent weeks. We've been staying in a unit near my parent's place which does not have a TV or internet access, so in the evenings when we go back to the unit, we've been relaxing and reading. It is a good way to end the day. Another change we've made is to drink more water and less other beverages. My brother and his family drink a lot of water, and we started doing the same thing there. When we got here, we discovered that my parents have started drinking more water rather than sugar-filled beverages or chemical-filled beverages. Now the challenge will be keeping all that up once we get back to Australia!! Sunday 13 January - Today, I went to church with my father, one last time. Unfortunately, my mother was not well enough to attend. And then I opted to take a rest day, although Rowan still did 50 laps in the pool. One of the reasons I decided not to ride outside today was because, even though it wasn't raining, it was very chilly and since I don't have my full array of winter cycling gear, I've been feeling very cold after my rides. Last night I was so cold, I hurt all over, all evening ... I didn't warm up till past midnight, and then I was chilly all morning this morning. In similar situations in the past, I've turned the temperature up to about 35C for an hour or so till I was warm, but I would have cooked my parents if I had done that this time. After all those years on the Canadian prairies in temps well below freezing, you'd think I'd be used to chilly temps, but 3 years in Australia, and now when the temp dips below 0C, I'm frozen solid! So instead of cycling, we did a 2.6 km walk to run a few errands in preparation for our trip back to Australia. We fly out of Canada in 3 days, and back to Australia. On the one hand, I like Canada. I've lived in this country most of my life and it feels comfortable. I'm happy here. Plus, most of my family is here, and more specifically, most of my family is in southern BC and Alberta ... I have never lived in southern BC, but I think I could because I am quite familiar with the area. But on the other hand, I like Australia too. Even though I've only lived there 3 years, it feels comfortable too, and I'm also happy there. My family is not there, but I have made some friends. Plus I am looking forward to returning to work where I was, even though it's only very temporary at this point (a week or so). And I'm looking forward to being back in familiar territory and back with our stuff. We've got a storage shed full of my stuff there! So, this is the most emotional transition of all the leaps we've made on this trip. It's also going to be a shock to the system ... about 0C here in BC ... about 30C in Perth where we'll be for a couple weeks!! And this evening, we had Nanaimo Bars. I had almost forgotten about them. They should have been at the top of my list of Canadian foods to eat! I am going to have to learn how to make Nanaimo Bars from scratch. They don't have such things in Australia, and I'll miss them when we go back!! Monday 14 January - 65 minutes on the treadmill, 20 minutes on the rowing machine, plus a bit of extra walking outside. And then, Rowan and I had dinner with my grandmother tonight ... it was very nice to see her again, one more time before we depart. I love her and I'll miss her. One of the things I've enjoyed about spending more time here in Canada is being able to see my grandmother, and other family several times instead of one rushed visit. As I start thinking about returning to Australia, and possibly returning to a somewhat more "normal" life, I have been thinking about Post-Tour Depression. Post-tour depression is the same thing as post-University depression, or post anything-you've-put-a-lot-of-time-and-energy-into depression. You've devoted a lot of time and energy to touring, finishing a degree, finishing a project, and for a moment you're really happy and excited about accomplishing something. Maybe you're relieved to be done. But then there's a depression, or perhaps a form of grief, because that phase of your life is over. The depression (or grief) can be lessened by having exciting new plans for the future. New things to accomplish and do. New ways to spend your time and energy. Some people find getting back to work and into normal life wards off the depression. Others suggest doing lots of bicycle rides, but with the eyes of a cycletourist ... looking at your own local area as though you were seeing it for the first time. Still others throw themselves into hobbies or start planning the next tour. One of the things I'm doing to ward it off is re-creating a certain list. Many years ago, I read an article entitled, "50 Things to Do Before I Die" ... it appeared well before the "Bucket List" movie and the subsequent wave of popularity for creating "bucket lists". Back then I created a list of 50 things I'd like to do before I die, and I accomplished many of them. I got into racing, I rode long distance events, I did a long cycling tour, I finished another degree, etc. etc. So now, I've recreated the list ... only this time there are a lot more than 50 things ... I'm up around 80. My list is divided into categories: Cycling, Sports, Arts, Education, Travel, and a miscellaneous category called "Fun". Some of the things on my list are small things which might involve a couple evening classes. Some are larger and more time consuming. On a sort of related topic, we would love to have family and friends come to visit us in Australia. We aren't settled anywhere, and probably won't be for a while, but we'd still love to see you! One of the best times to visit Australia is coming up soon. At the beginning of February, the kids return to school (the end of summer holidays). About the middle of February, the temperatures start becoming more moderate, and it's really quite comfortable from about mid-February to mid-April. The next best time is probably from about mid-October to mid-December. Tuesday 15 January - 65 minutes on the treadmill, 6 minutes on the rowing machine, and a bunch of extra walking. :) It's our last day in the gym. I will miss the treadmill and rowing machine. Between now and Friday, the most exercise we'll get will be walking around airports and in the plane. And after that, it will be walking outside, riding the bicycle outside and swimming outside. When we got to this part of Canada, we got a 1-month gym membership ... seeing as we were going to be in this area about a month, and it is winter. Rowan and I have been there almost every day, and when we've missed a day, it has been because we've been on our bicycles outside. I haven't used a gym since I left Canada back in 2009, and didn't realise how much I had missed it. A 1-2 hour workout feels great and puts me into a good mood! I hope we can find something similar when winter comes to Australia. I have also lost 5.6 lbs since December 21 ... I think going to the gym helped with that as well. But on the topic of gyms, here's an idea ... why don't they have mini-gyms in airplanes, on long haul flights? 3 or 4 treadmills and maybe a spin bike or two. Passengers could sign up for 30 minutes on a piece of exercise equipment when they check in. It would be such a nice break from sitting the whole time. Here's something I didn't know about the country where I used to live ... they're phasing out the penny! Australia phased out the penny roughly 20 years ago. It's about time Canada did the same! Wednesday 16 January - Flight to Australia via Hong Kong. Our day started early with last minute packing, a little bit of breakfast, and then the drive into Vancouver to the airport. My mother saw us off at the house and my father drove us to the airport and saw us off at the Departures terminal. I will miss them very much! Everything went smoothly with the check-in process. In fact, when we rolled up to the check-in area, we were signalled to come over to a desk on the side and the check-in lady said to me, as we were walking up ... "You're going to Australia". "Yes." ... a moment later she said, "And those are the bicycles." "Yes." ... and then she told us that they had been briefed we were coming and they were expecting us!!!! Rowan had told them about the bicycles in an email correspondence about 7 months ago, and they kept track of that information. One last stop at Tim Hortons (good-bye good coffee and donuts) and off we went through security, into the departures lounge, and onto the plane. Just as we were about to board the plane at 13:30, Rowan got waved over and told that his seat had changed ... he was no longer sitting near me, all because another passenger had requested the change. Fortunately, the person who checked us in was there and knew we wanted to sit together, or at least near each other. That caused a little flurry of activity, and rearrangement, and next thing I knew they had moved me to the same row as Rowan. But when we boarded I was directed to one side of the plane, and he to the other, so for a moment, I figured we had not been fortunate after all ... and then we discovered that we were in the middle, in a 3-seat row, one on either side, with an empty seat in the middle. And we backed onto the toilets so we had no one behind us. Perfect!! That was one of the best seats I've ever had on a plane. For the 13 hours to Hong Kong, I was able to fully recline, to stand up and walk around, to sleep for a couple hours, to stretch out. So ... how many airports have you been to? As I'm sitting here in yet another airport, I tried to add them all up. I've been to 25 airports, and Perth will be 26. 10 of mine were Canadian airports, then 5 each in Australia and Asia, 4 in the US, and 1 in Europe. Although it will be 6 in Australia shortly. I've been to many more than once, and I have had a bicycle box in tow in most. [B]Taiwan[/B] (in the Hualien area) was great for it's cycle lanes ... huge smooth paved shoulders for bicycles and scooters ... and it would be tempting to spend a bit longer there and cycle southward from Hualien. We did a bit of that, but not as far as we might have liked. We only had 6 days there, not enough. And there were heaps and heaps of people on bicycles, scooters and all sorts. 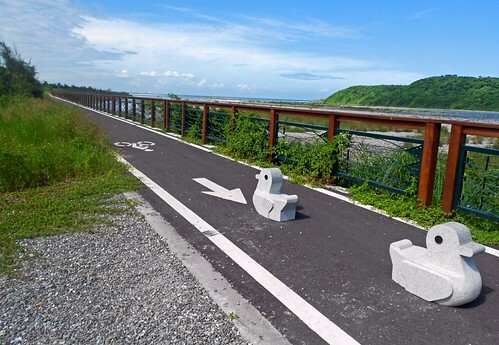 [B]Japan[/B], specifically Hokkaido, had some great cycling paths as well. Long, smoothly paved wide paths through rural areas. They got a little bit sketchy in a couple places, but the traffic wasn't too heavy so we were fine. We had 10 days there and would really like to go back and spend a month. There weren't many riding. We'd see lots of people in the more populated areas, but only the occasional person in the more rural areas. In [B]Scotland [/B]we kind of hopped all over, and mainly used the roads until toward the end, then we joined the North Sea Route which took us on a lot of the very quiet backroads. Scotland is great for all the little meandering backroads with next to no traffic. We were 3 weeks there and could easily spend a month or more. In certain areas, like on the path that runs the length of Loch Lomond, there were quite a few cyclists, but when we got on the North Sea Route there weren't a lot. Then we crossed to Europe and decided to cycle the Rhine Route. It was a bit of a disappointment. There are sections which are pretty good, but then there are sections which just aren't very good at all. Toward the end, the last 2 or 3 days, were pretty good. All of a sudden there were decent paths finally. There were lots of people riding at least sections of this route. Many of them appeared to be day riders or maybe weekend tourists (lightly loaded). Luxembourg doesn't have much cycling infrastructure from what we could tell, and most of the riders there looked like pretty serious roadies. Switzerland had great paths, probably some of the widest paths we've seen, and a reasonable number of riders. France kind of took us by surprise. We've both cycled quite a bit in France before, and have enjoyed it. When we first entered France out of Luxembourg it was good. We got onto a route along the Moselle which was lovely. But when we got into France the second time, out of Switzerland, we were plunged into quite heavy traffic. We went from there by train to Perpignan, and again, heavy aggressive traffic. Not too impressed. So we caught a train up to Bordeaux, and it has been lovely since. I'm astounded by the paths in this part of France. I explain in my journal how a cyclist could easily do a century out of Bordeaux, about 90% of which would be on nice, smooth, beautiful, relatively empty bicycle paths. I have to say, I'm NOT a MUP person. But the ones I've encountered in Taiwan (although those were more like shoulders), Japan, and most of Europe (excluding a large portion of the Rhine Route) have been quite good. Well paved, smooth, and empty. I wish they'd install similar paths in Canada and Australia.